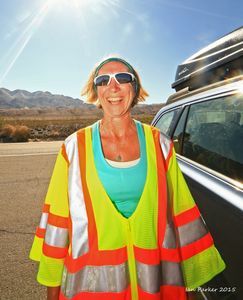 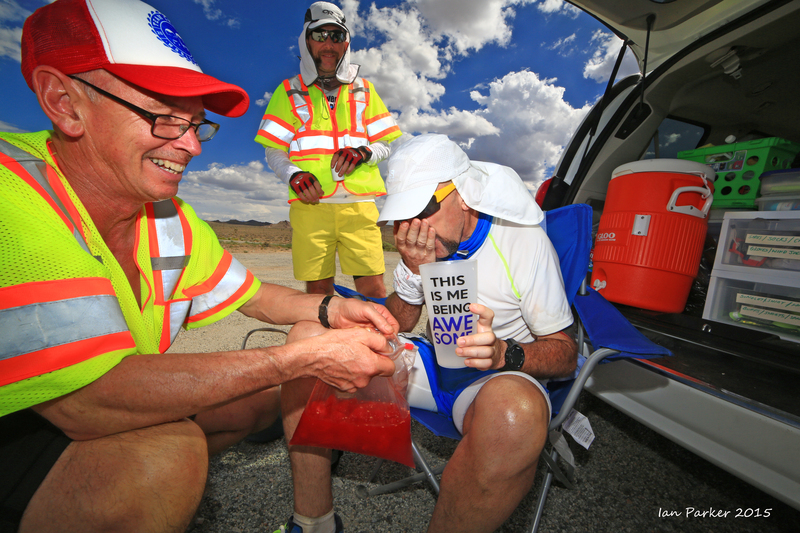 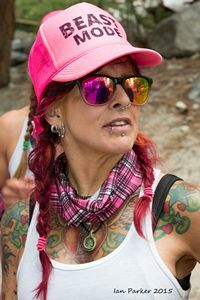 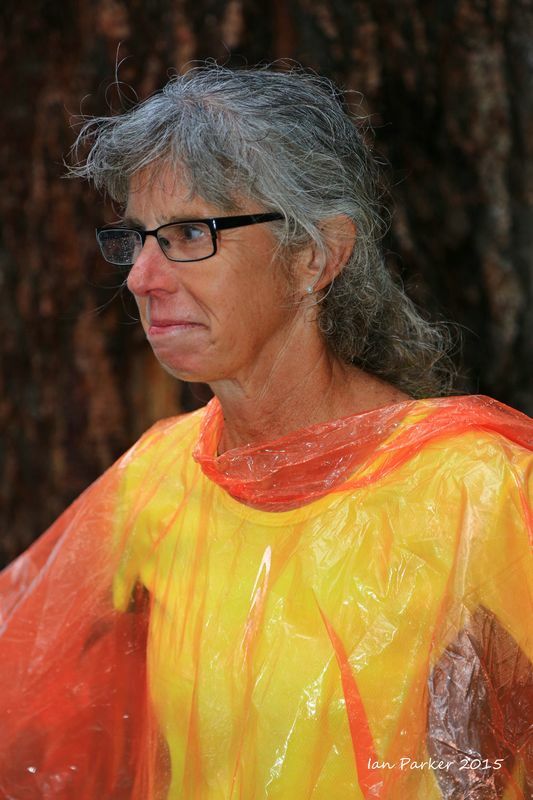 This was my 14th year in a row at the Badwater Ultramarathon, the "World's toughest footrace"; eleven years as a runner or pacer, and the last three helping on the race staff and as a photographer. 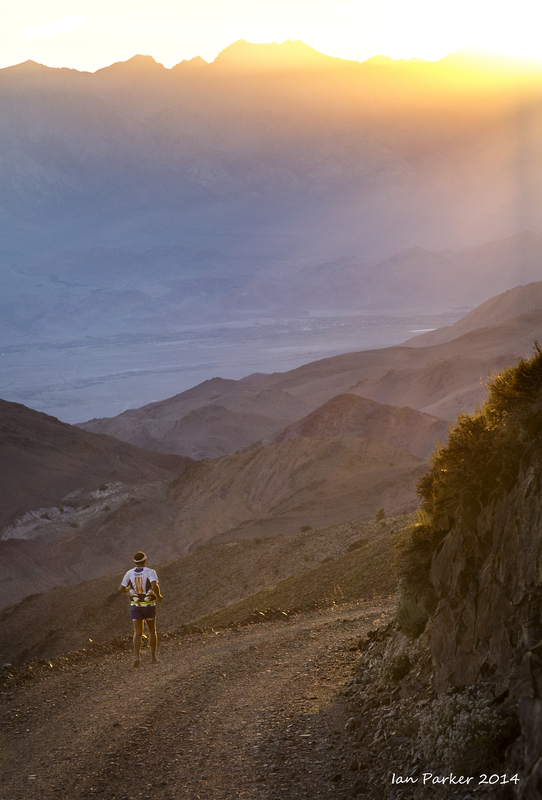 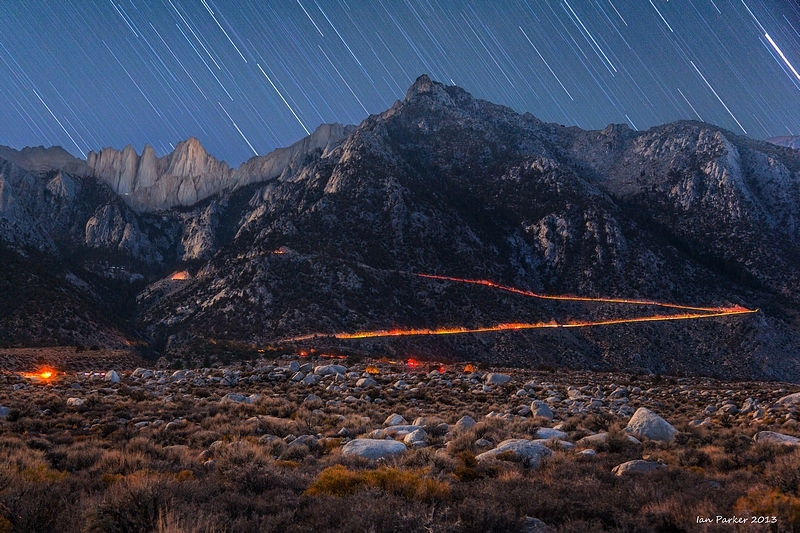 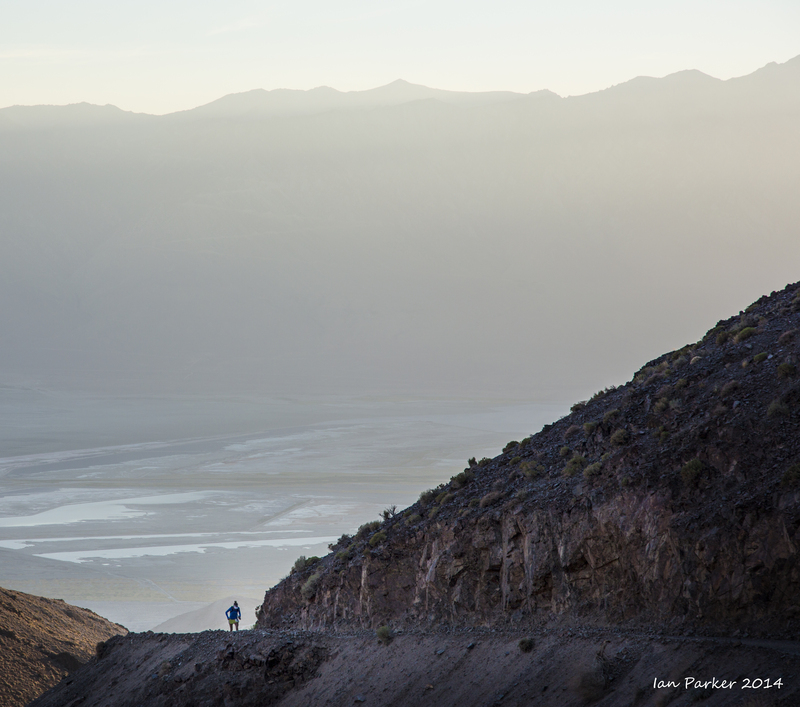 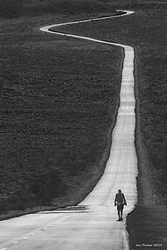 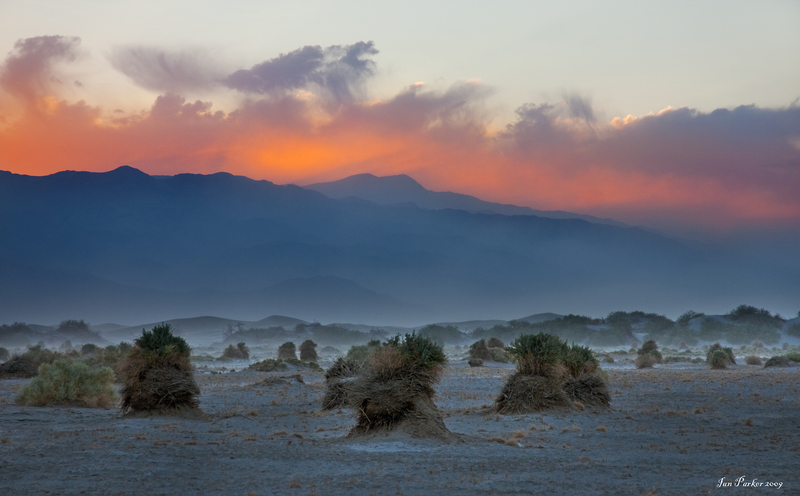 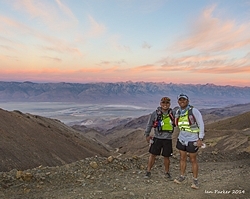 My approach the first year I came to photograph the race was from the perspective of a landscape photographer, aiming to place the runners in context of the spectacular scenery of Death Valley and the Eastern Sierras. This year I shifted gears, and took on the mindset of a 'street'/portrait photographer, concentrating on the runners and their support crews. I had gained more confidence in this from a photo safari to Burma ("Faces of Burma") where the emphasis was on the photogenic and wonderfully friendly people of that country. 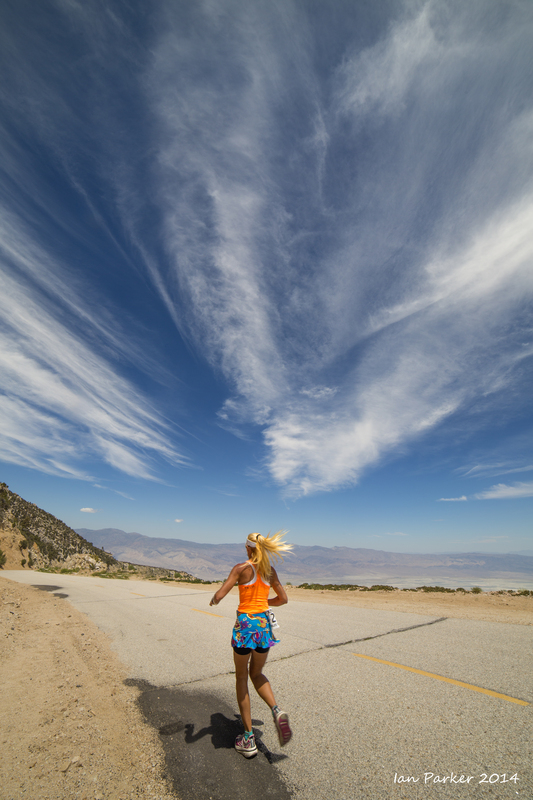 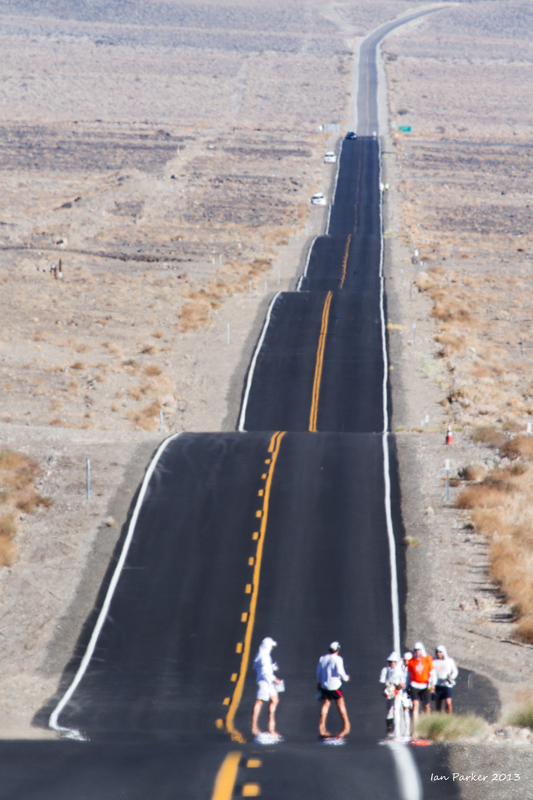 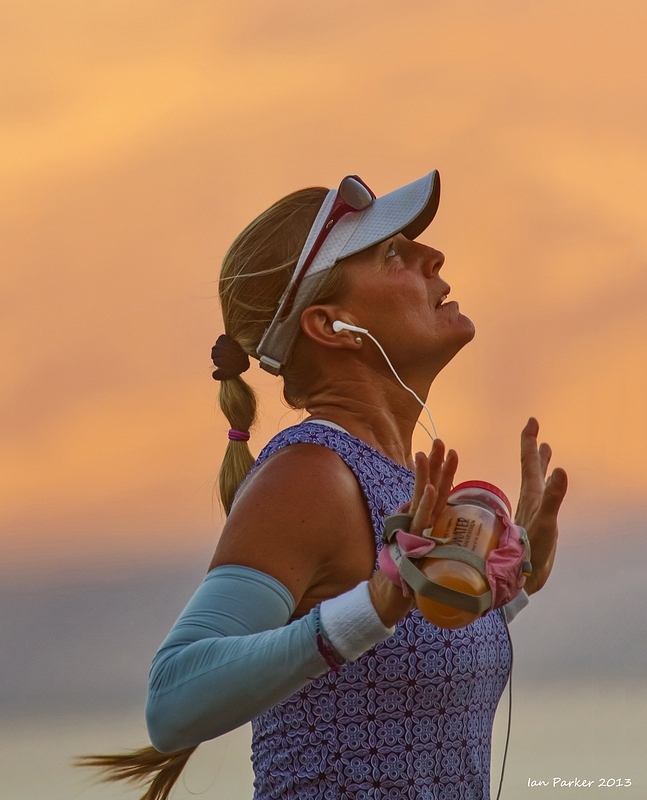 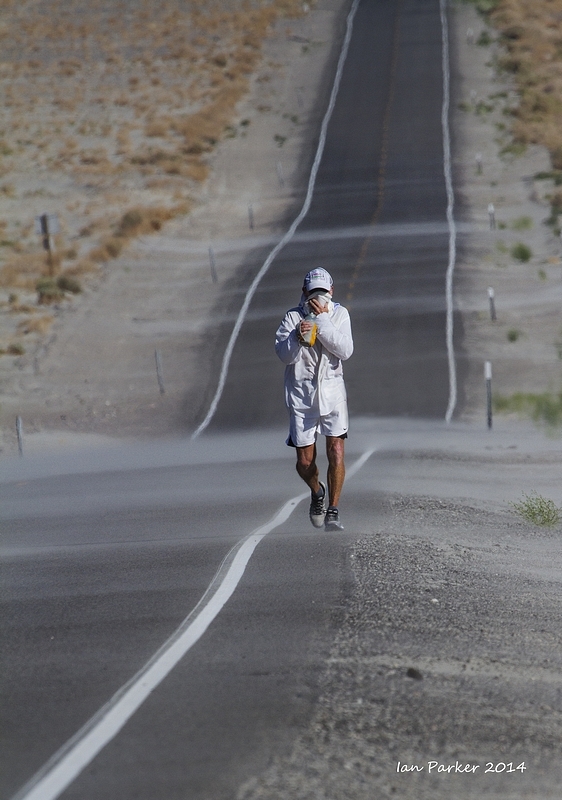 Badwater offers much the same opportunity - a photographic challenge of capturing the emotions of a group of very special people pushing themselves to the limit in an extreme environment. 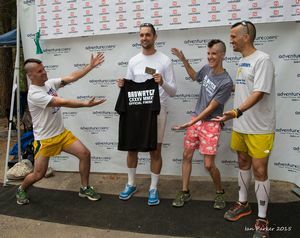 Moreover, the runners and their support crews are friendly, like having their pictures taken, and in any case have all signed waivers permitting the taking and publishing of photos! The images below are a selection from many hundreds of shots. 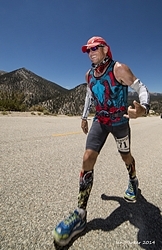 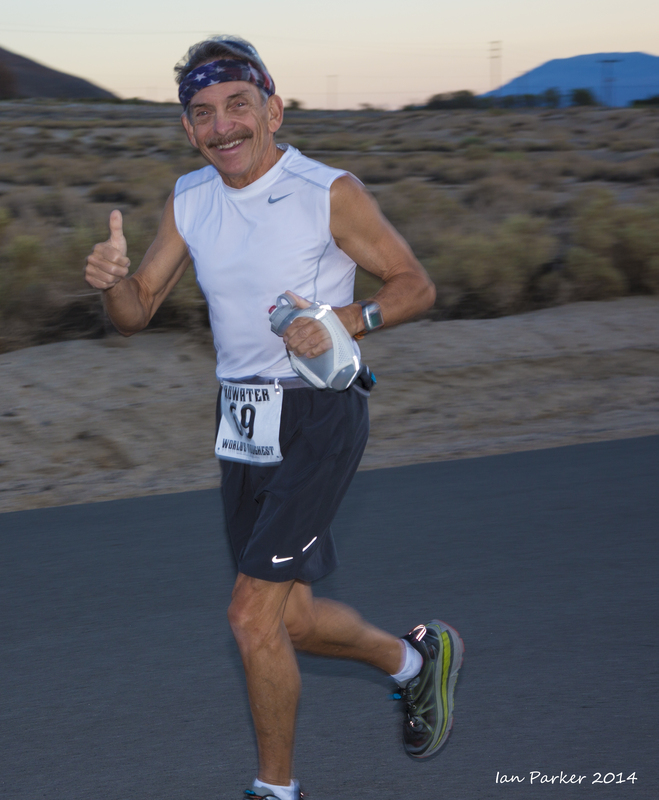 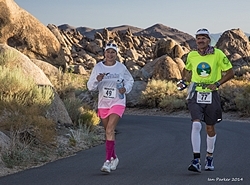 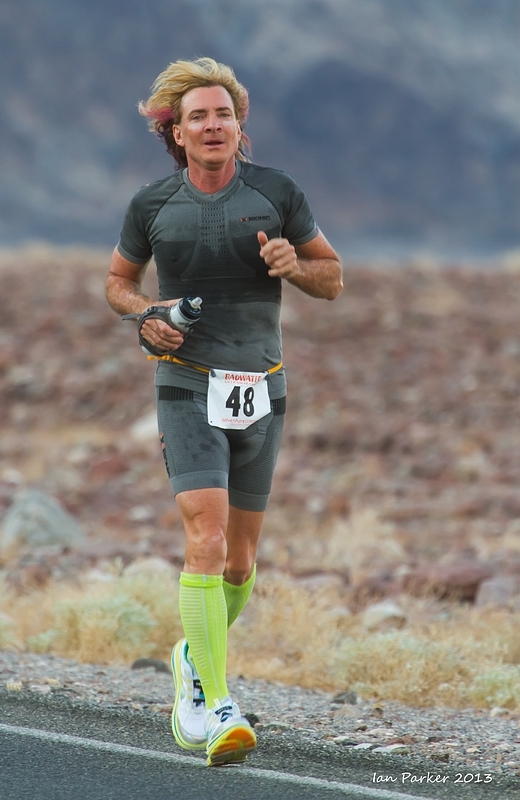 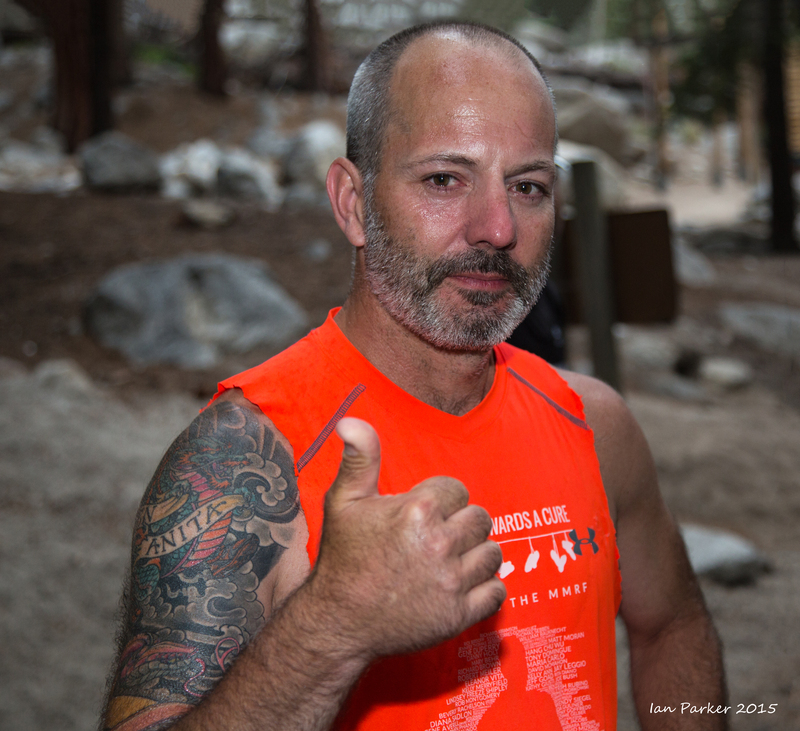 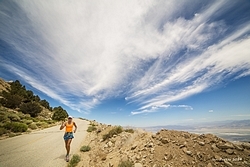 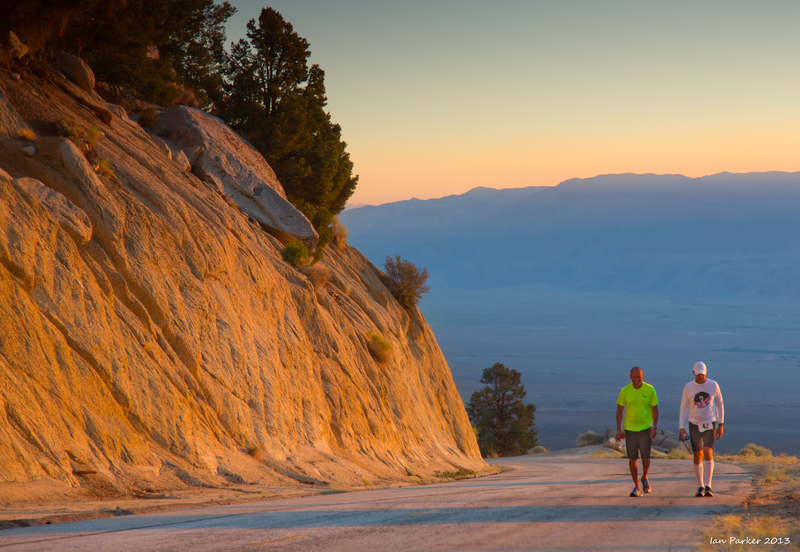 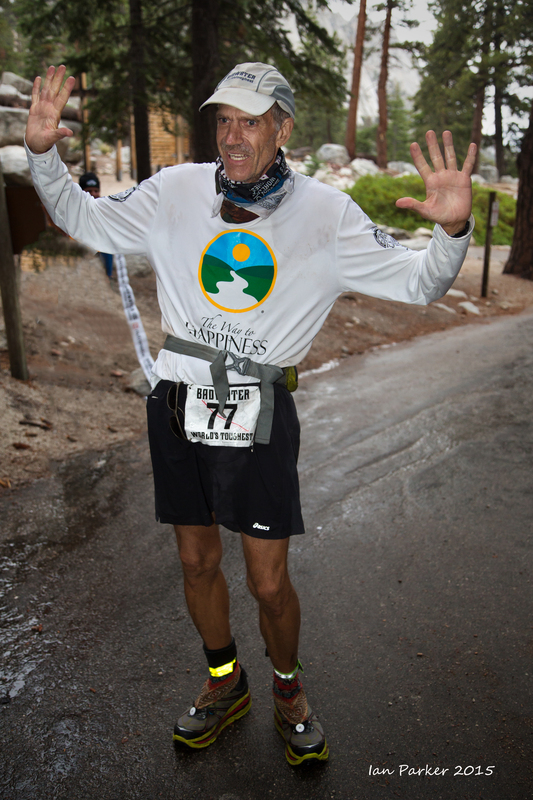 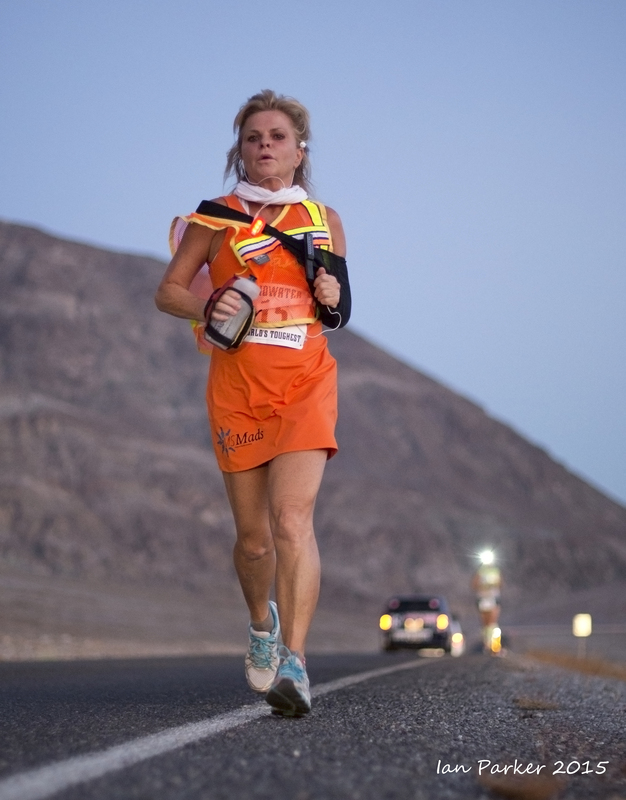 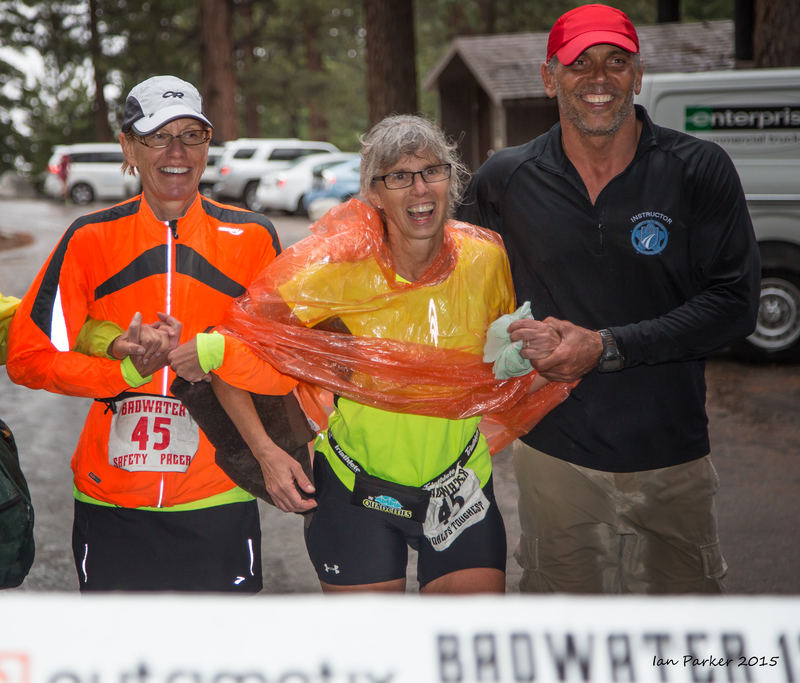 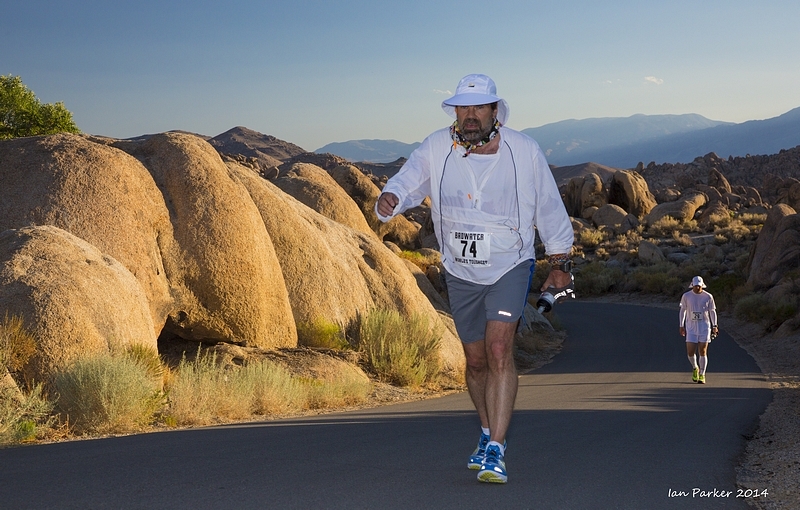 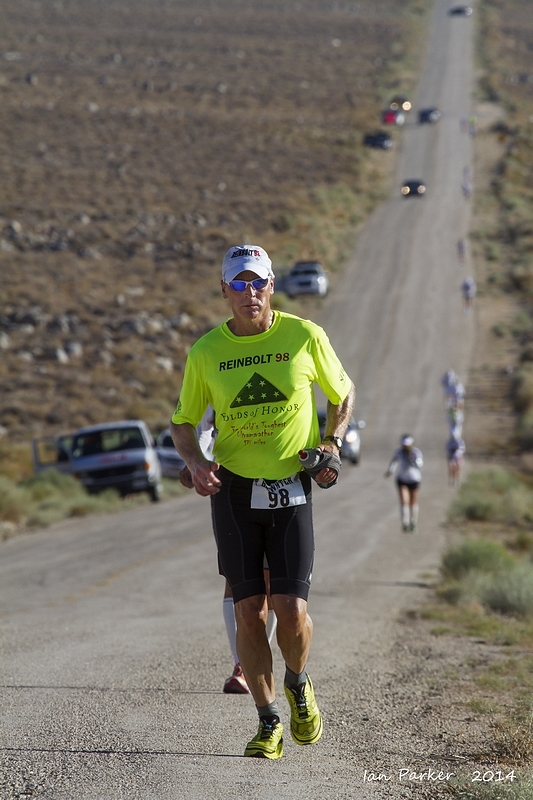 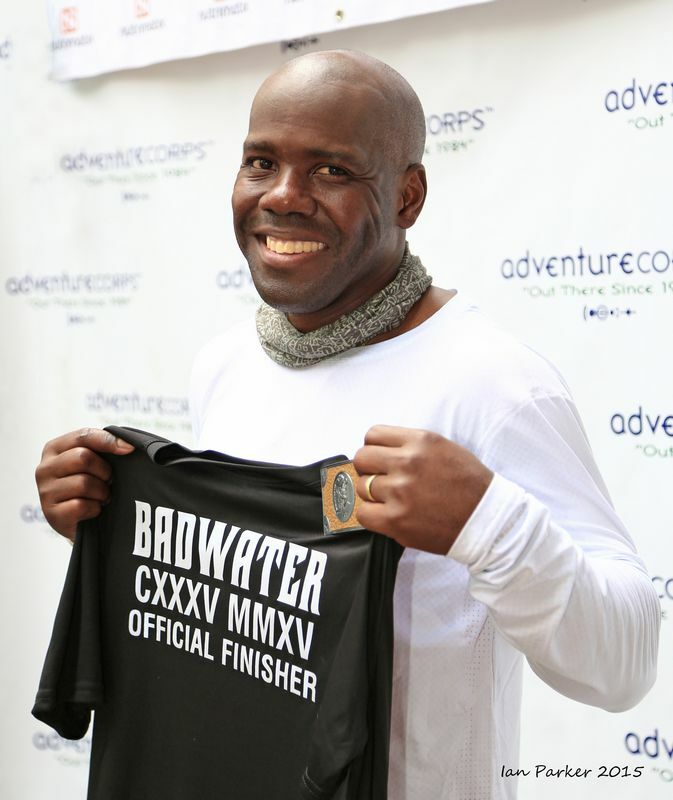 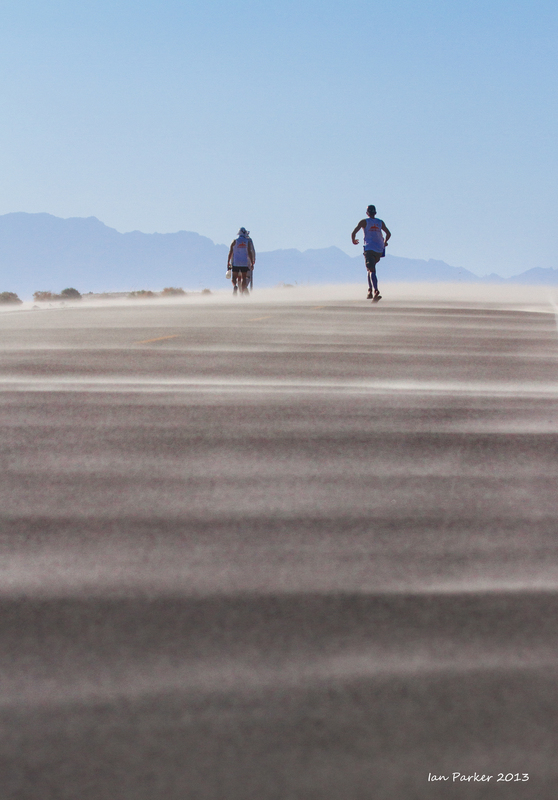 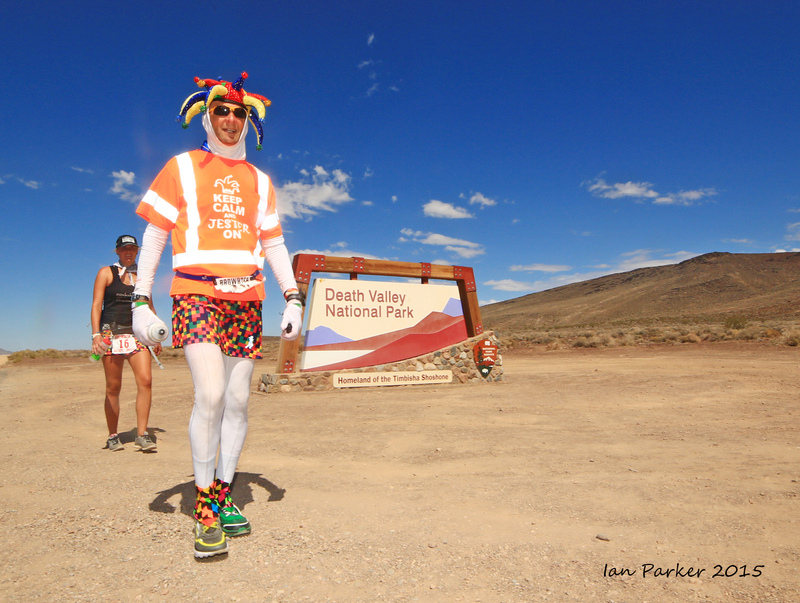 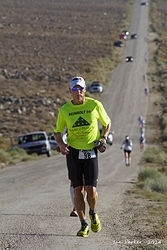 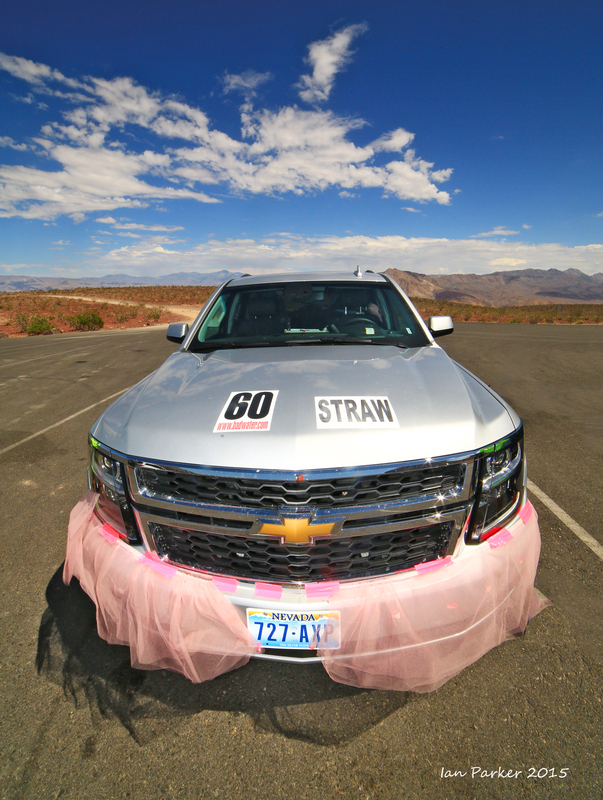 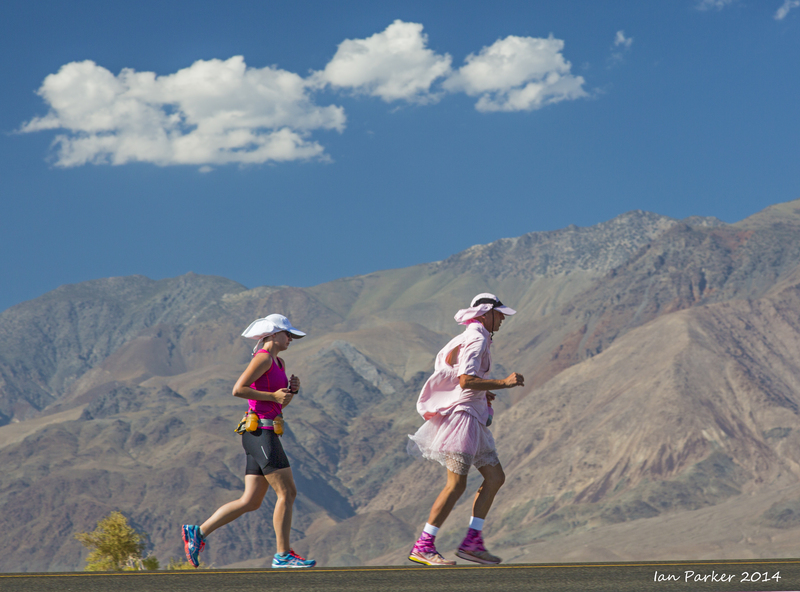 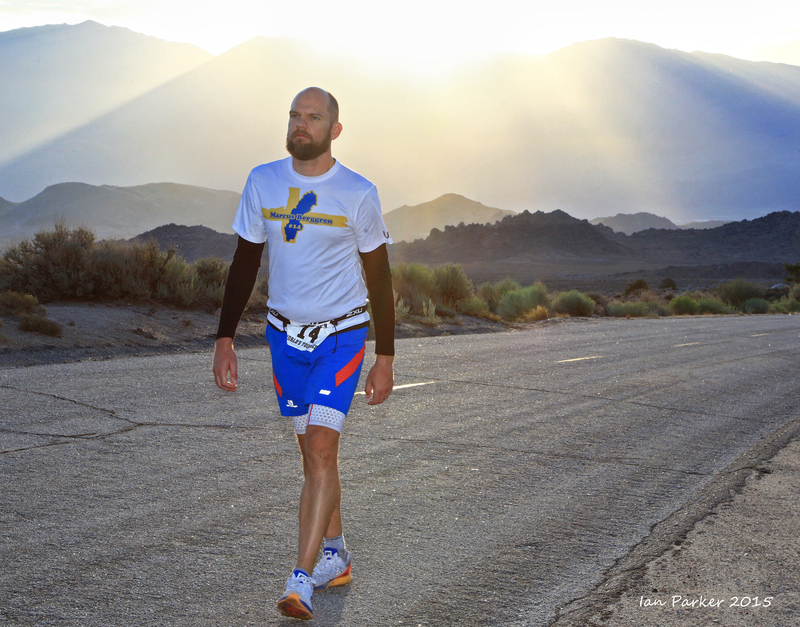 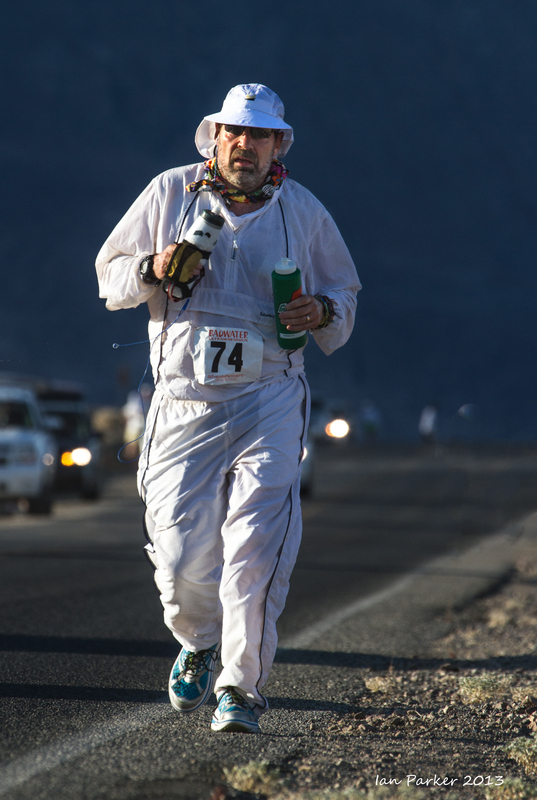 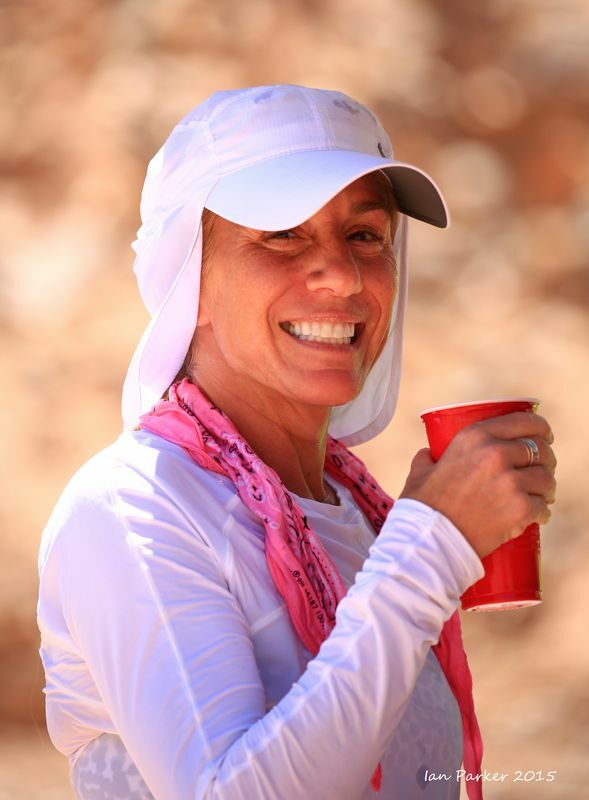 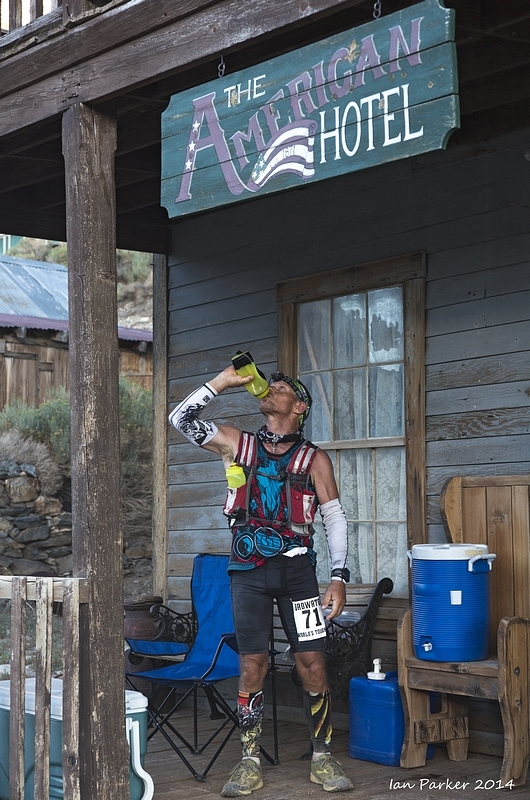 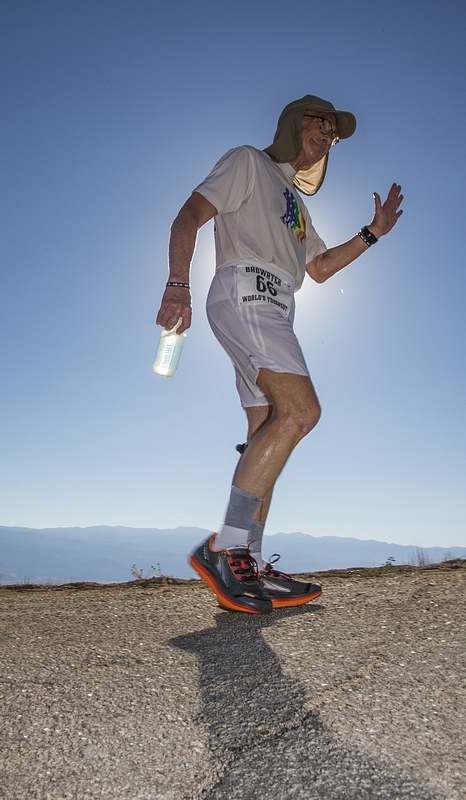 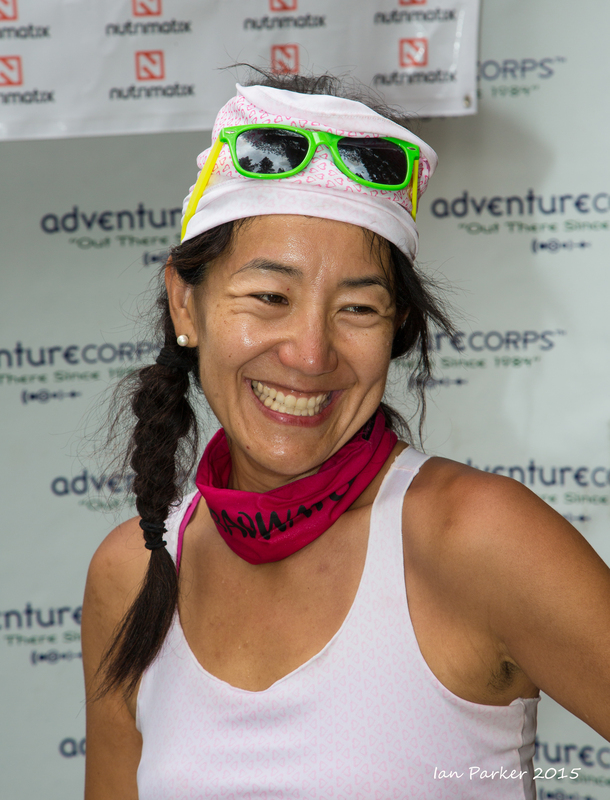 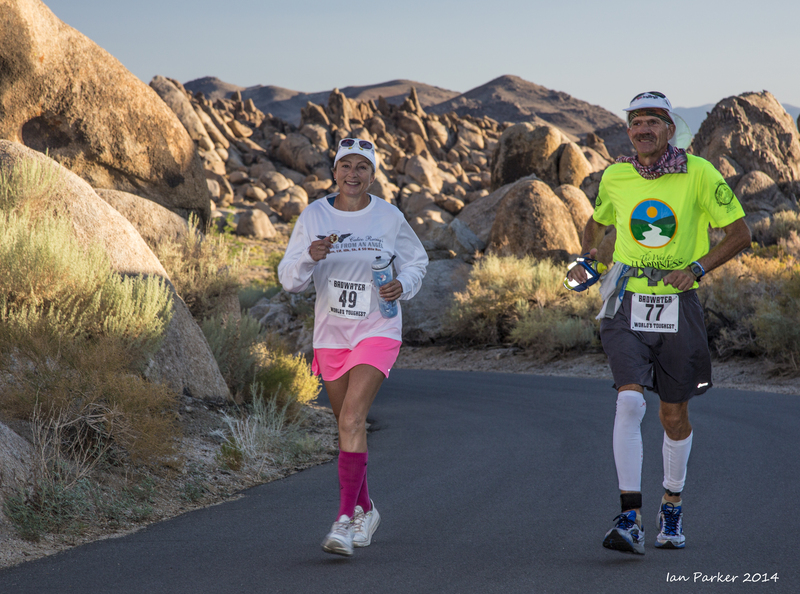 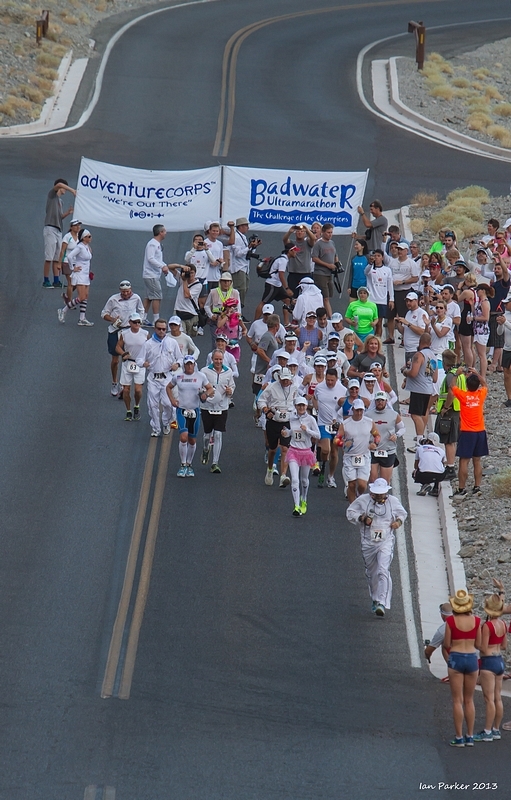 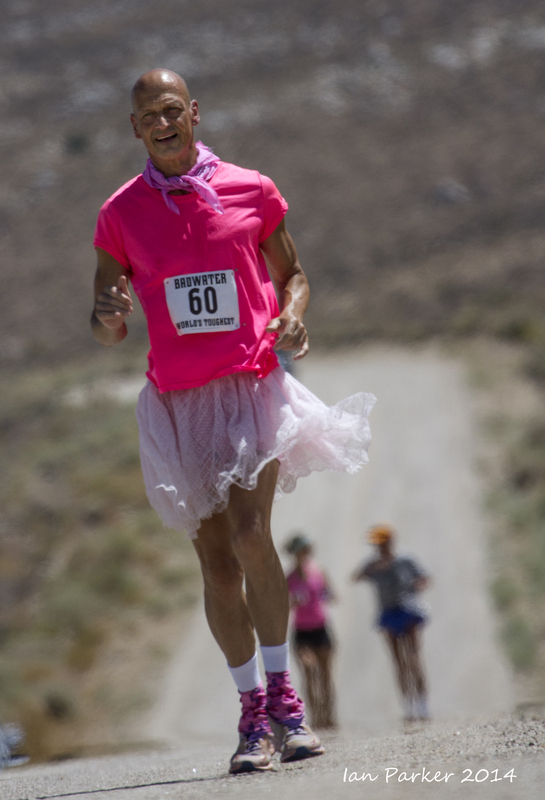 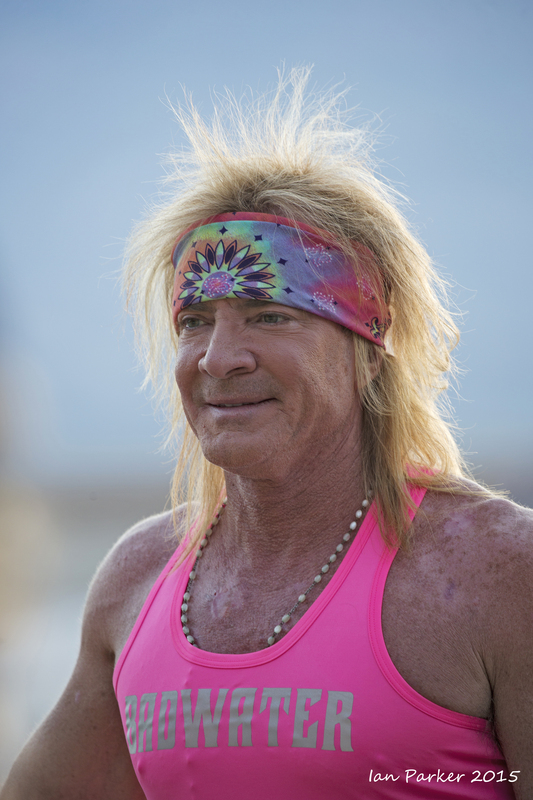 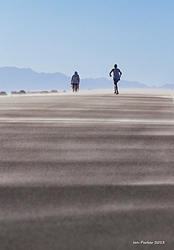 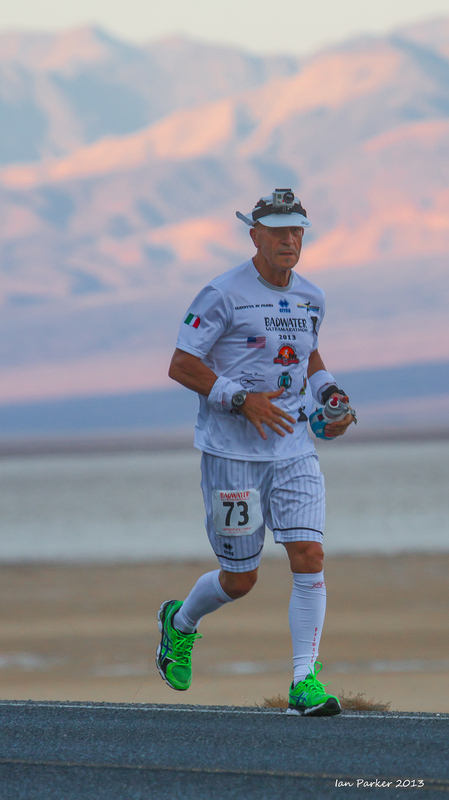 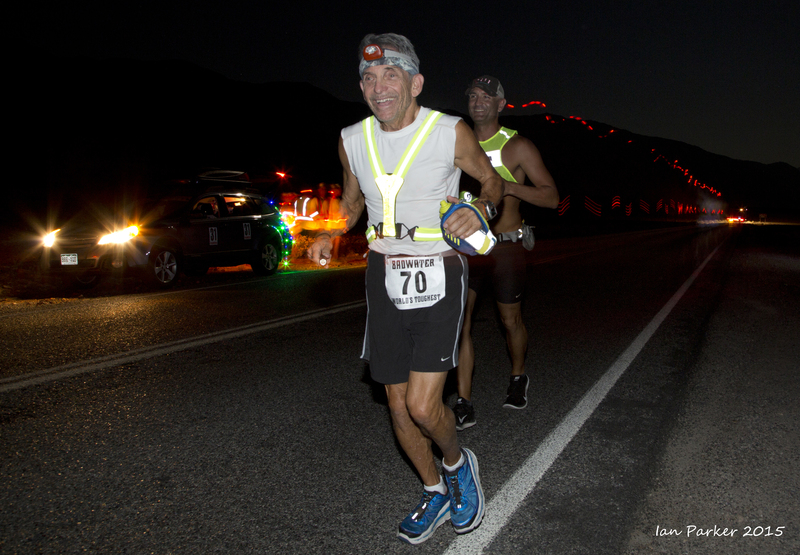 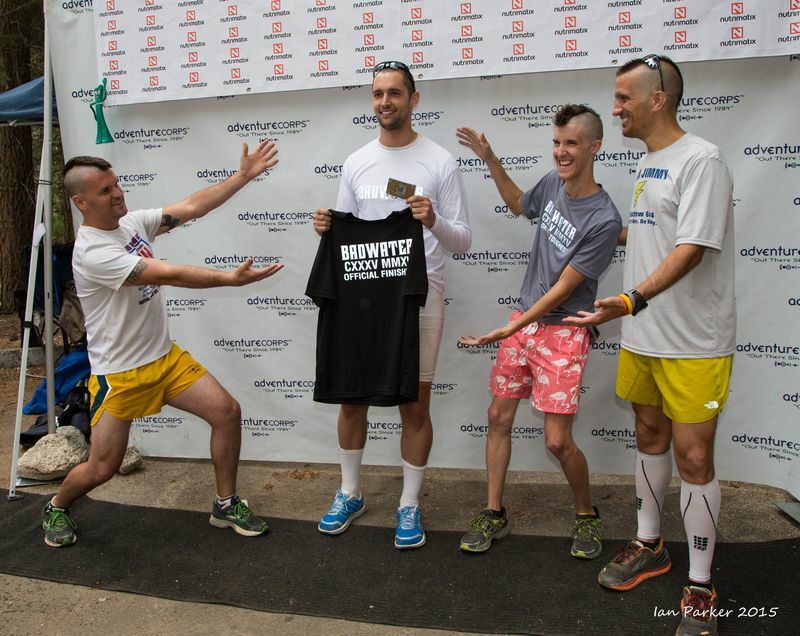 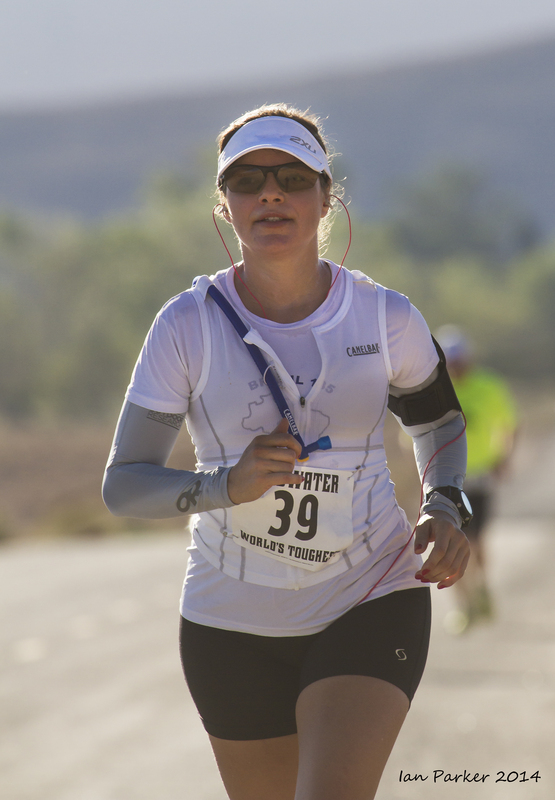 Click HERE for links to to numerous other photos from the 2015 Badwater Ultramarathon. 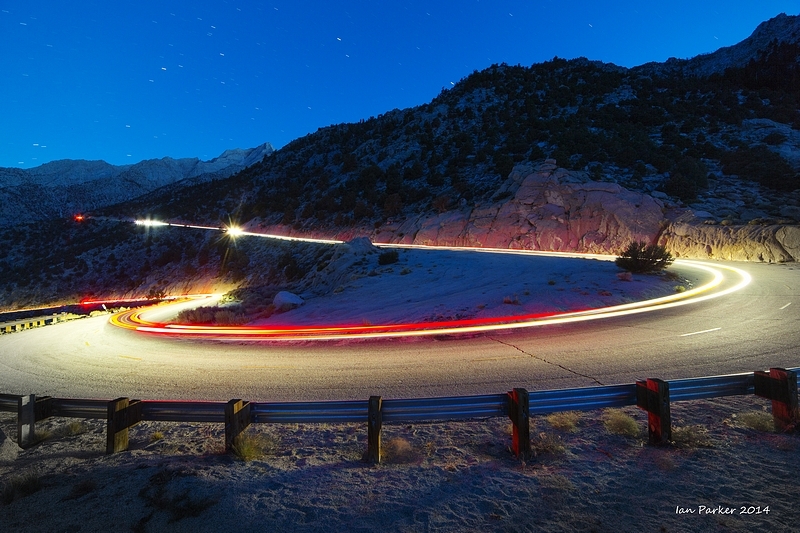 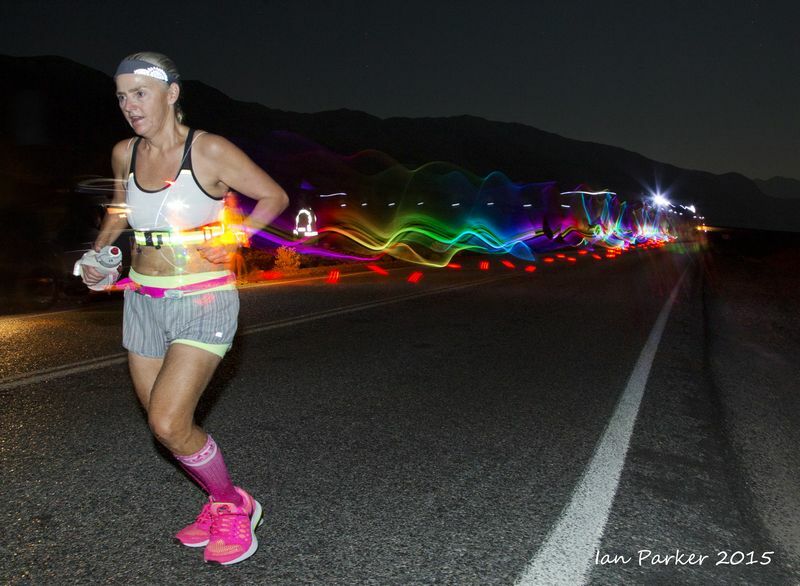 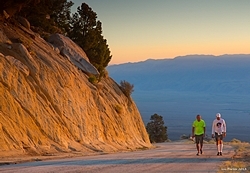 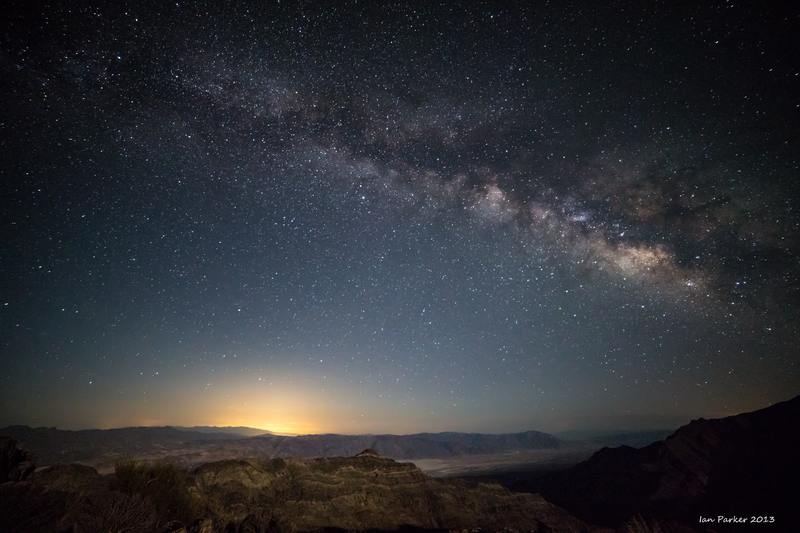 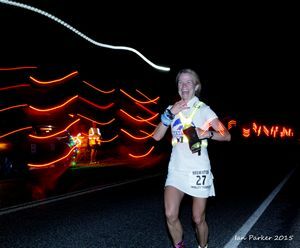 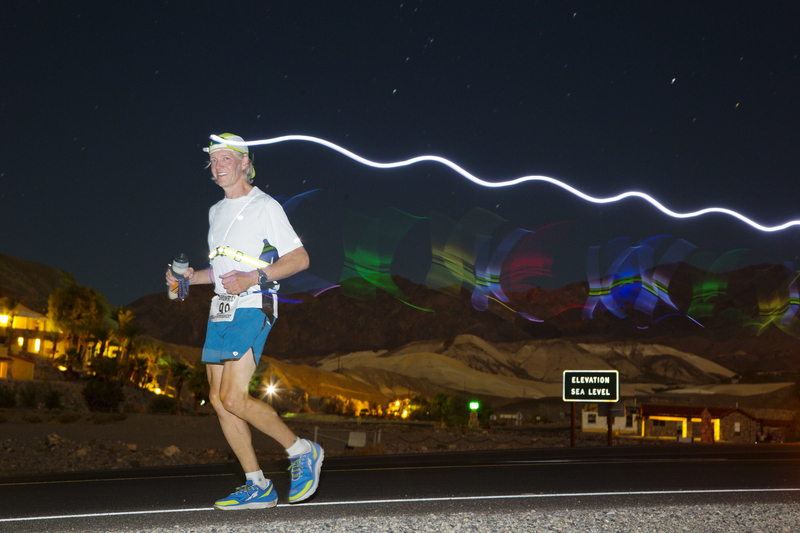 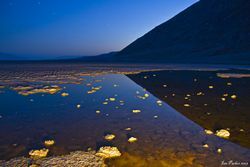 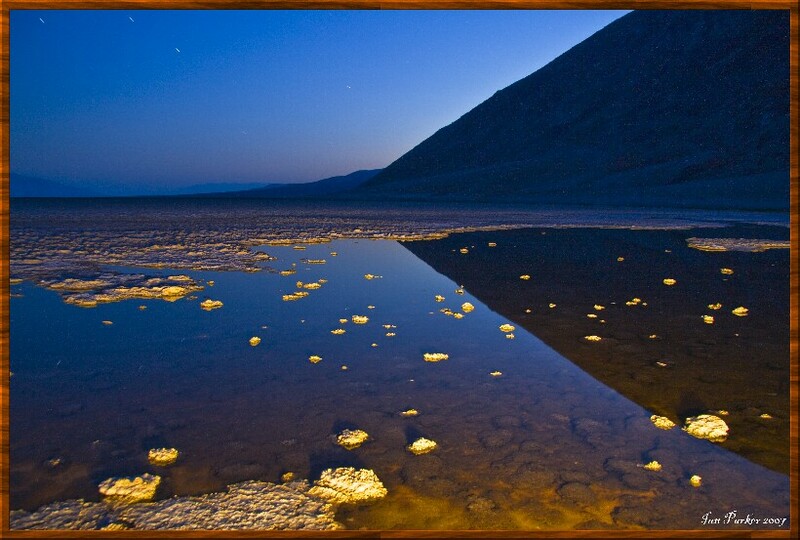 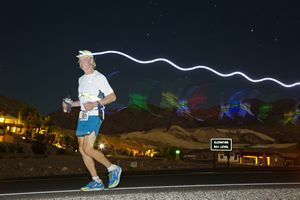 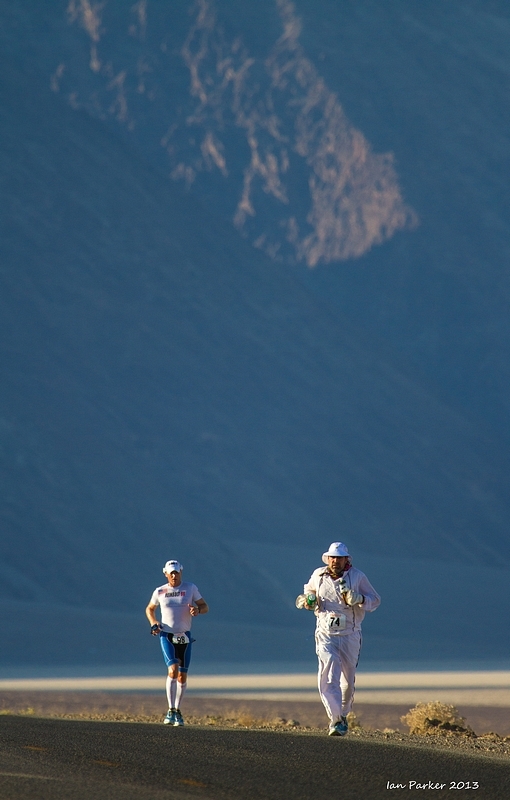 The Badwater race returned to its historic course this year, but with evening and night start times most of the running through Death Valley itself was in the dark. 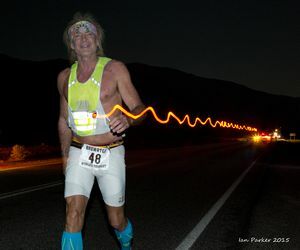 I experimented with long exposures to capture the safety lights of the runners, ending with second-curtain flash to expose the runners themselves. 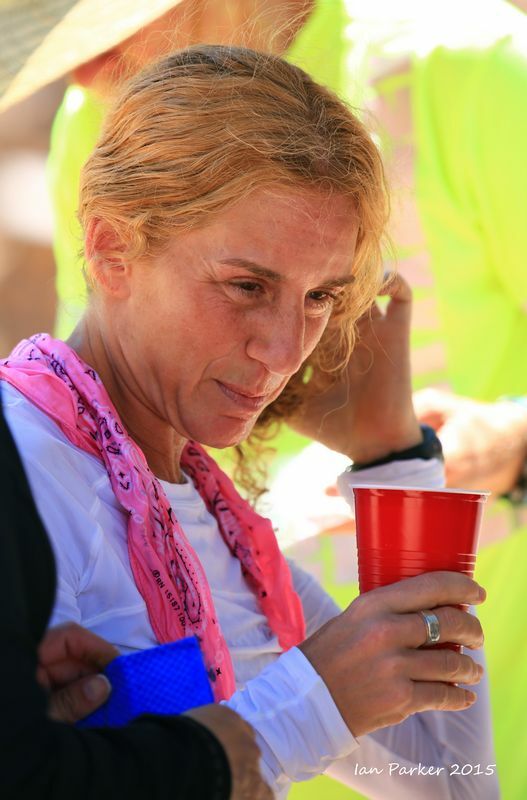 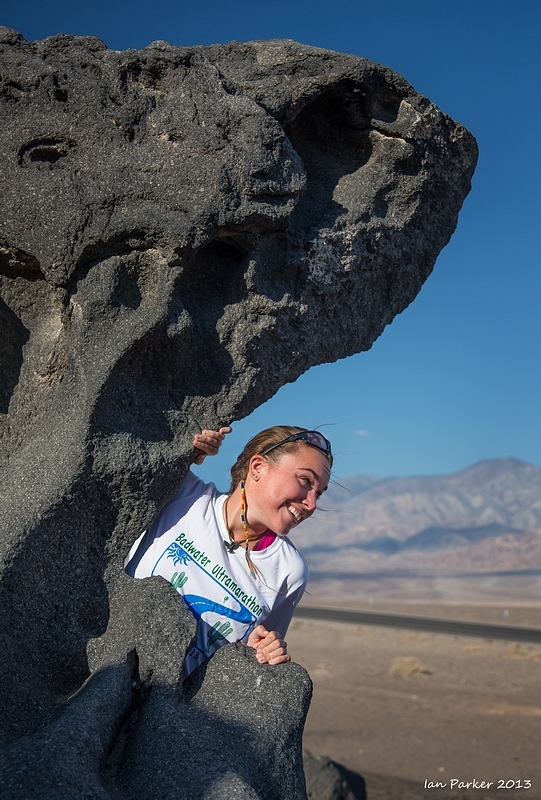 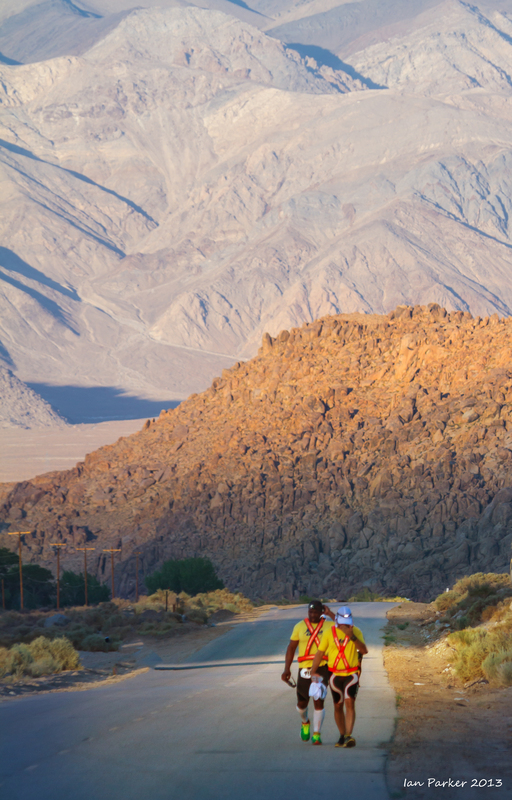 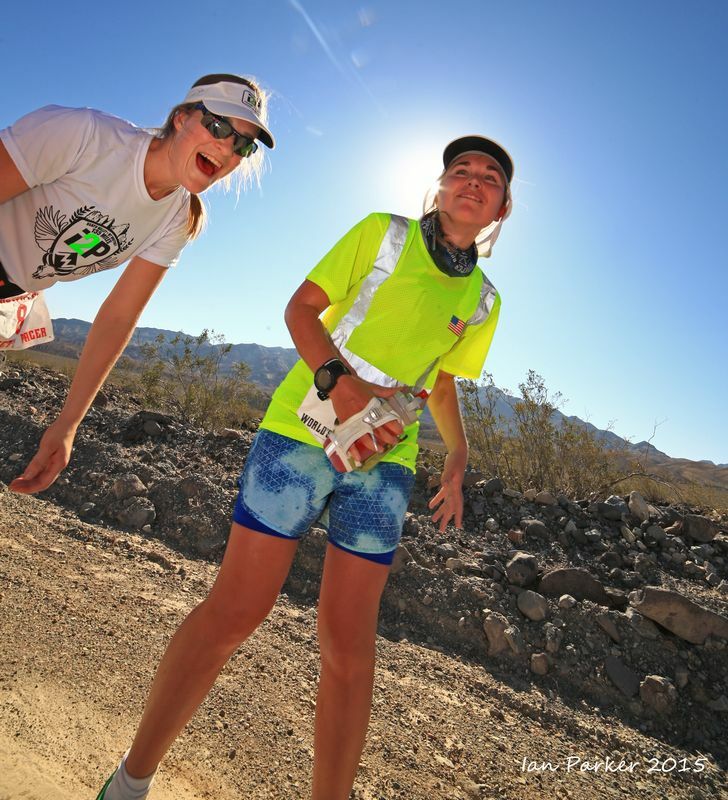 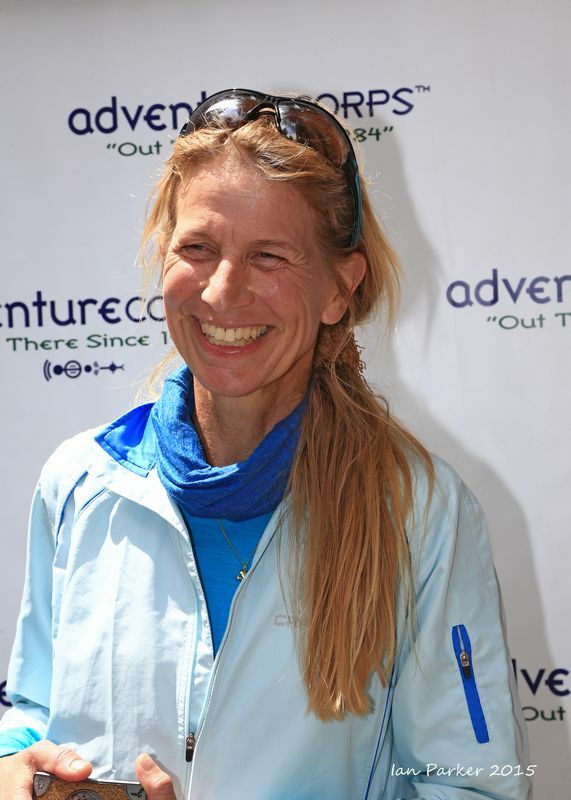 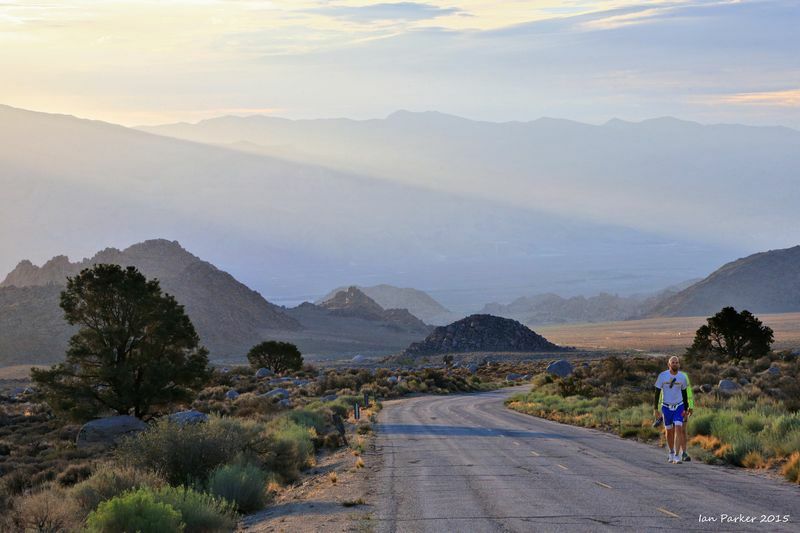 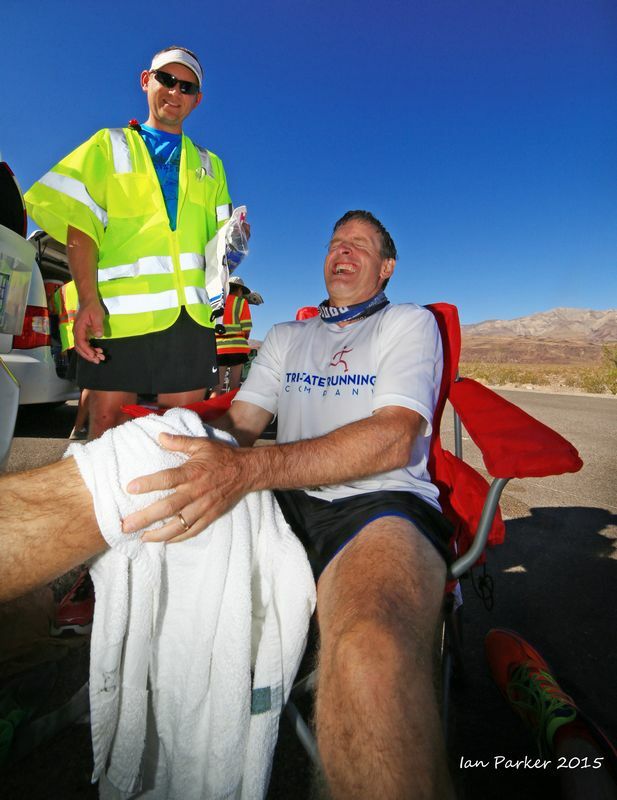 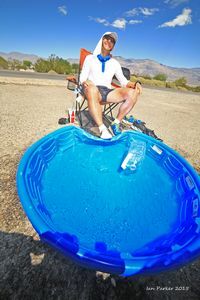 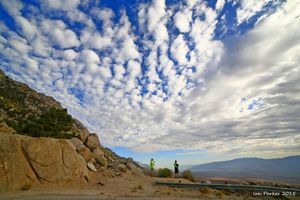 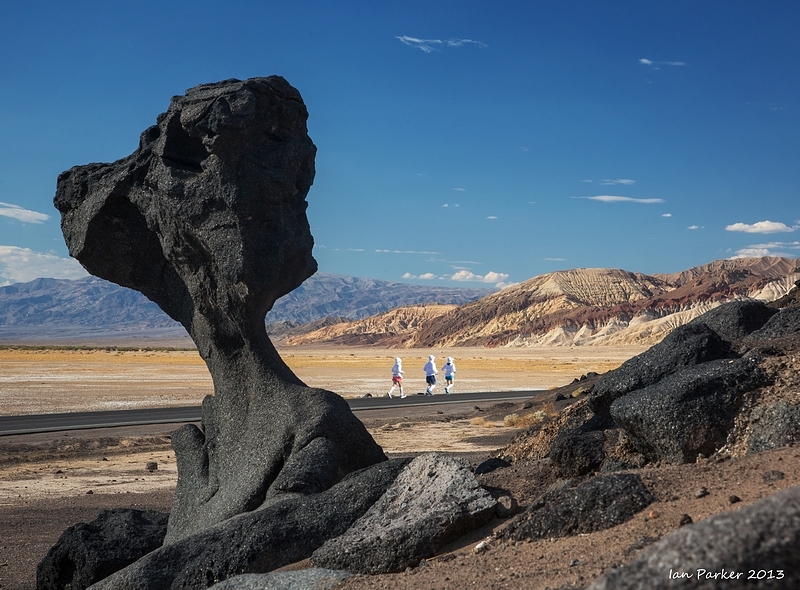 The next day brought full sun, requiring various measures to mitigate the heat as the runners descended into, and then climbed out of Panamint Valley. By the second morning many runners were on the last stretch, a 13 mile, 5000ft climb up to Whitney Portal and the finish line. 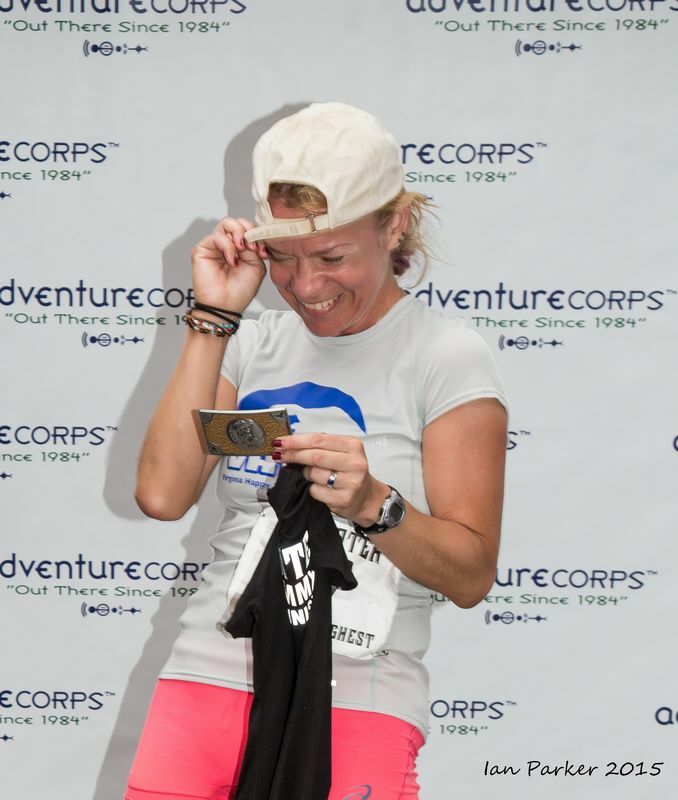 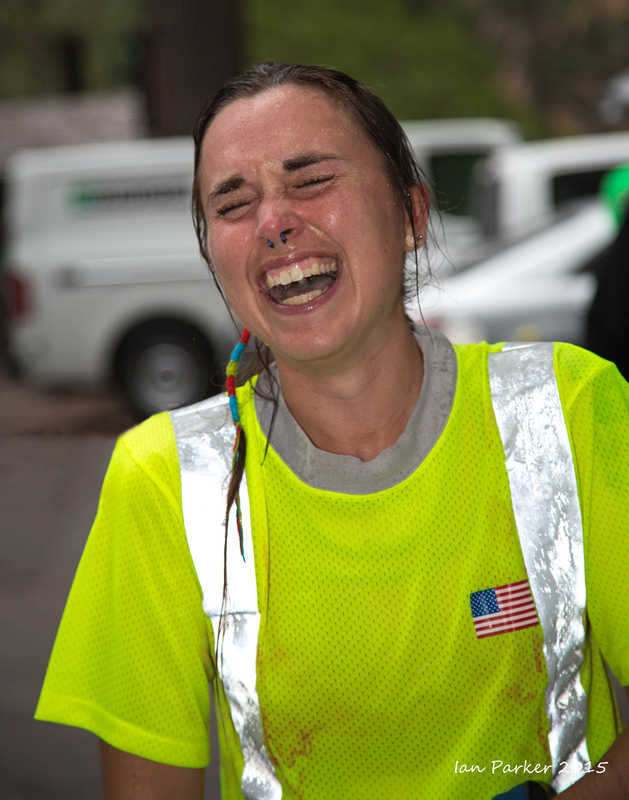 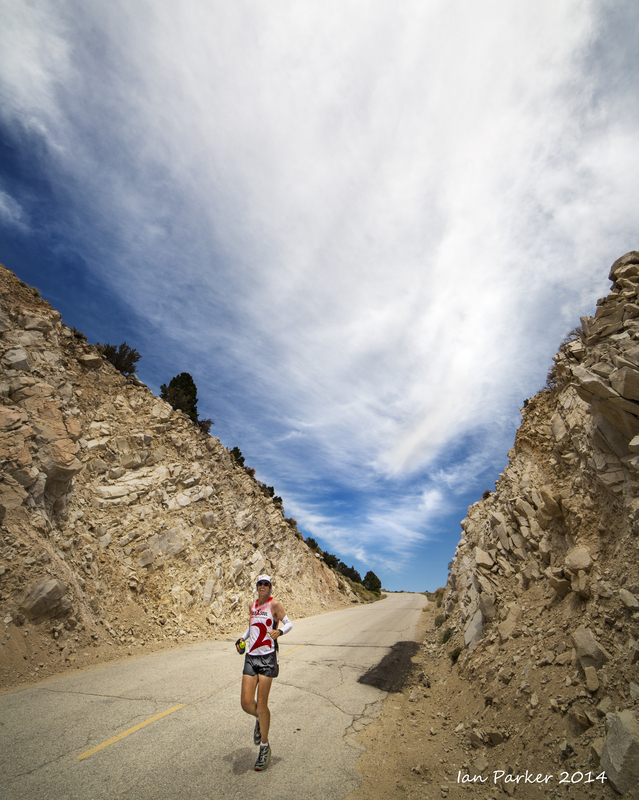 Runner portraits at the finish line - attempts to capture what it feels like to finish the Badwater Ultramarathon! 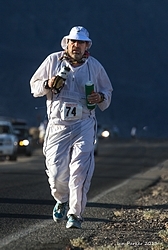 I completed the Badwater Ultramarathon nine times between 2002-2011, and for the last two years returned in the easier role of staff photographer. 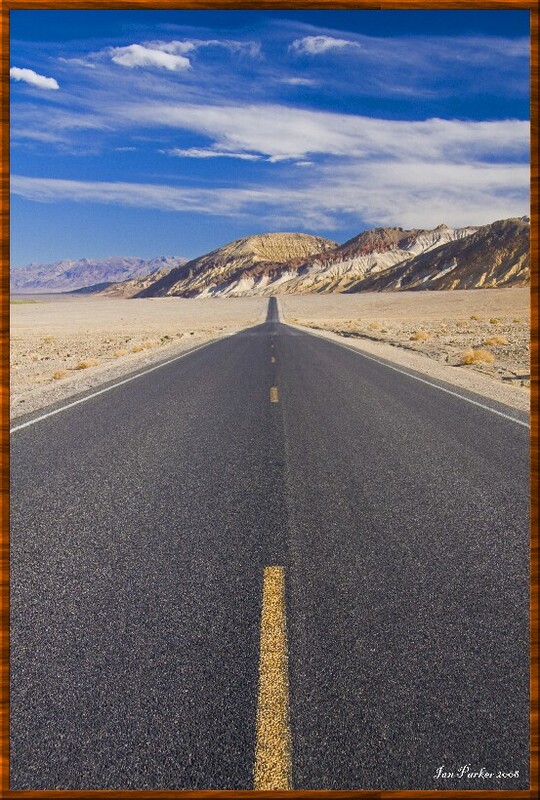 Historically the race has run between Badwater Basin in Death Valley (the lowest point in the Western hemisphere) and the portal to Mt. 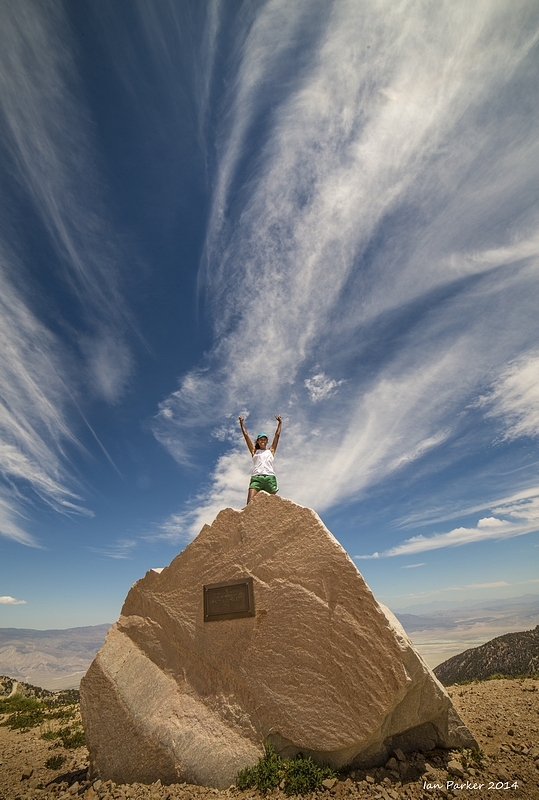 Whitney (the highest point in the contiguous 48 states). 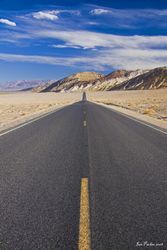 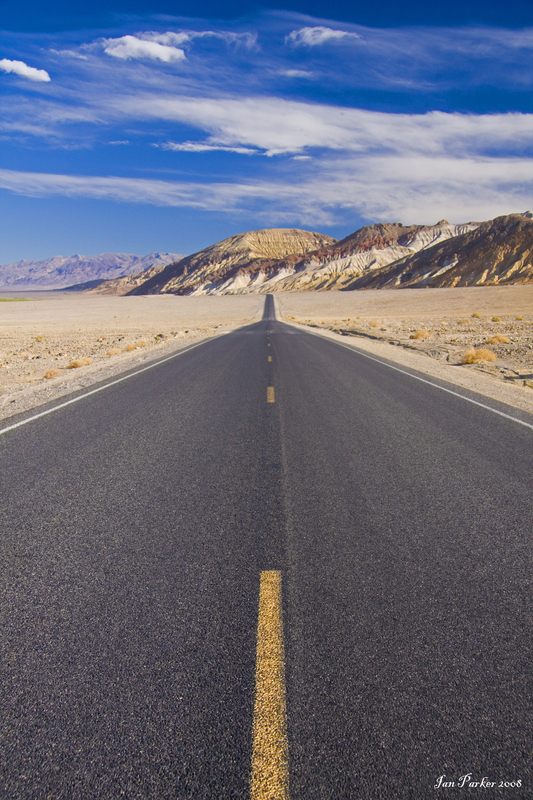 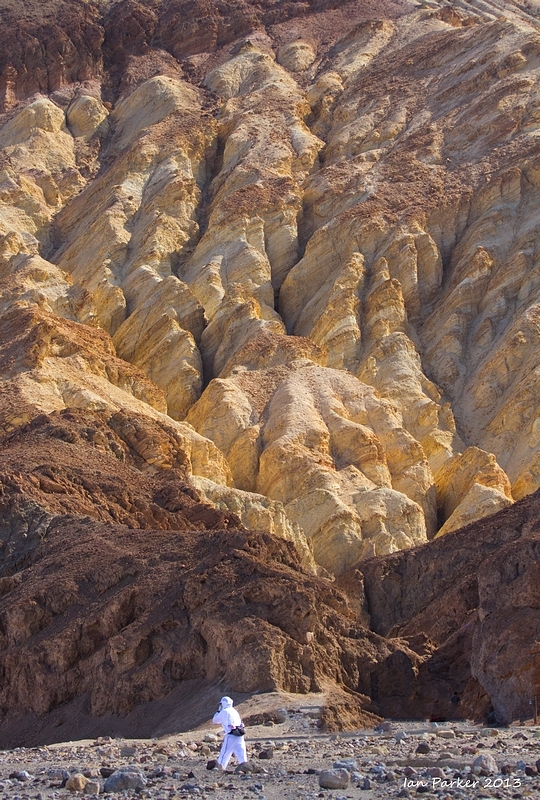 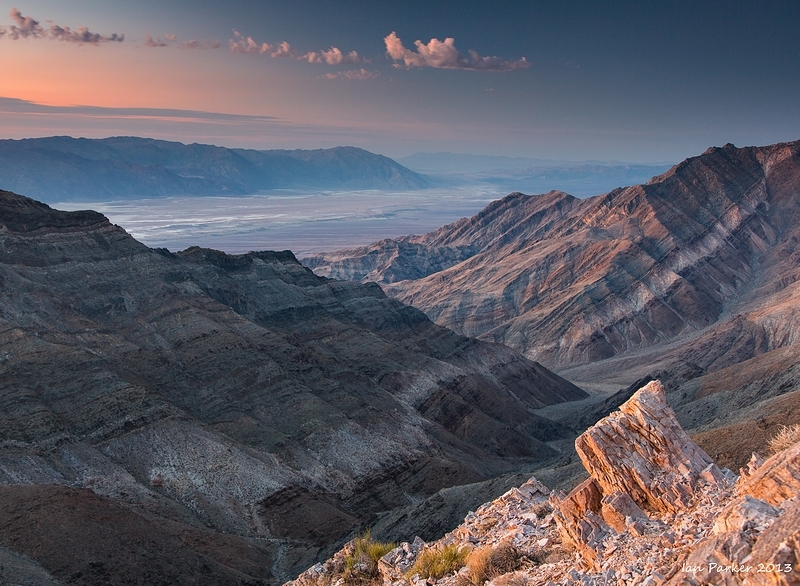 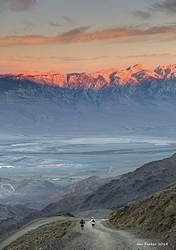 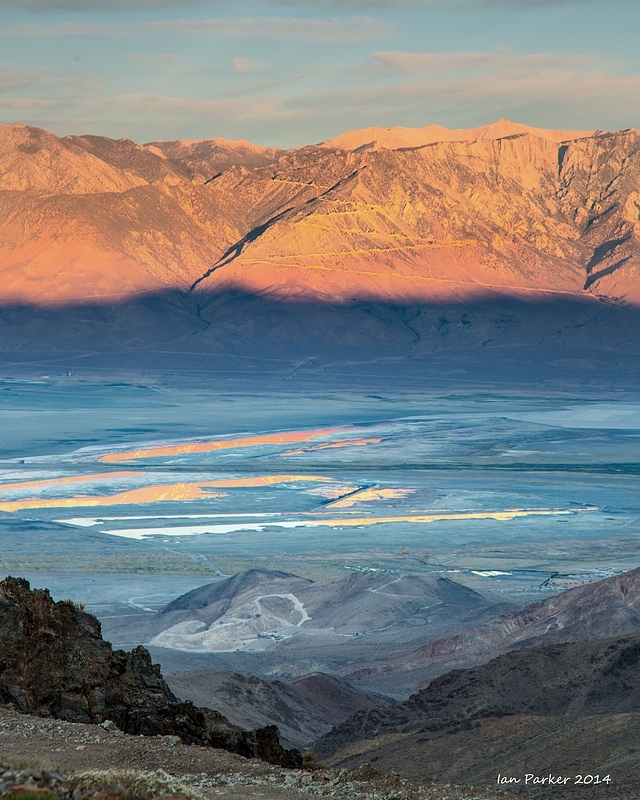 This year, however, the National Park authorities placed a moratorium on athletic events in Death Valley (see HERE), necessitating a change of route. 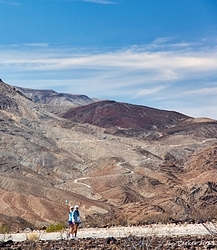 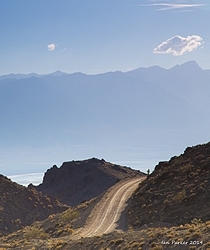 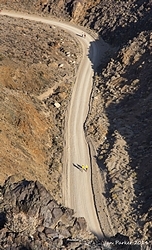 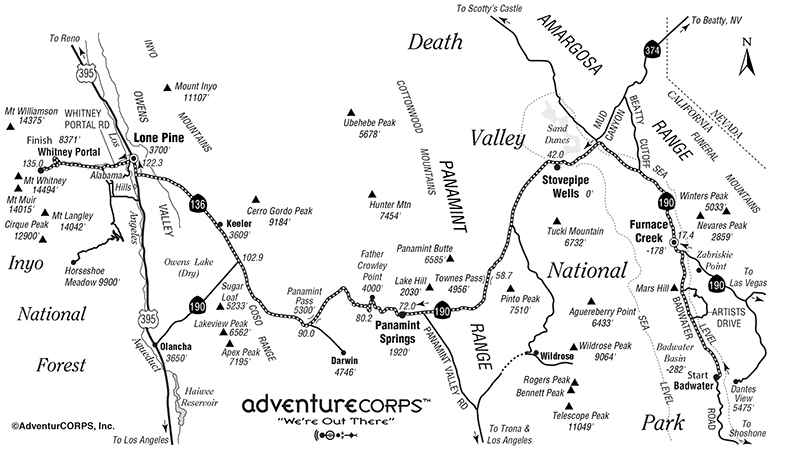 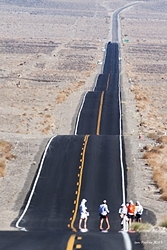 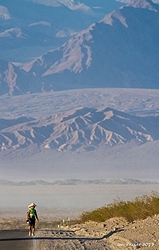 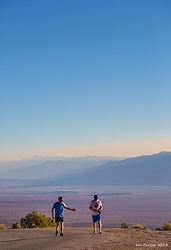 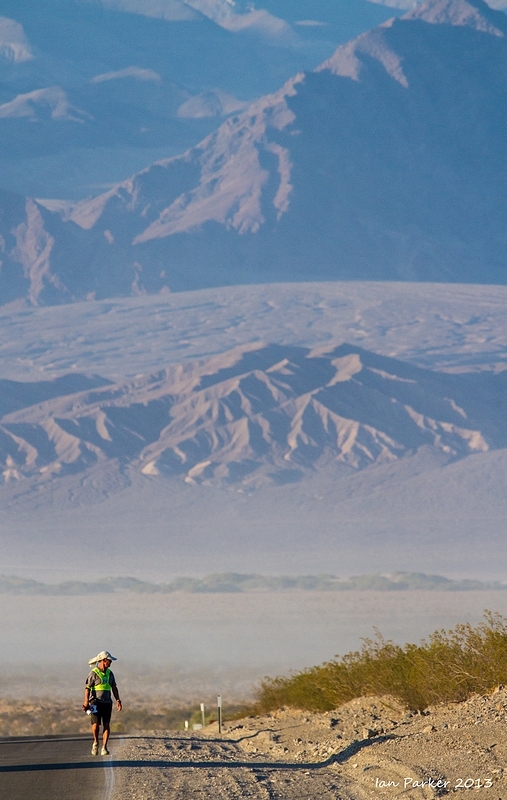 The 2014 edition of Badwater thus included only about one half of the original route, retaining the finish at Whitnel Portal, but substituting two new extreme climbs up to Horseshoe Meadow and Cerro Gordo ghost town in place of the extreme heat experienced through the 42 miles below sea level in the bottom of Death Valley. 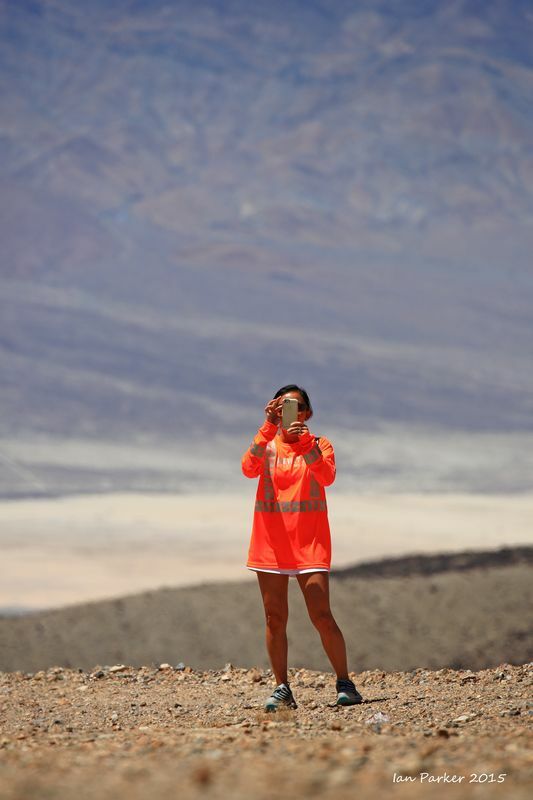 Photographically, this eliminated the spectacular arid desert scenery of Death Valley, but in compensation provided sweeping vistas of the Sierras and Owen's Valley, together with the historic relics of Cerro Gordo. 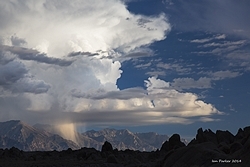 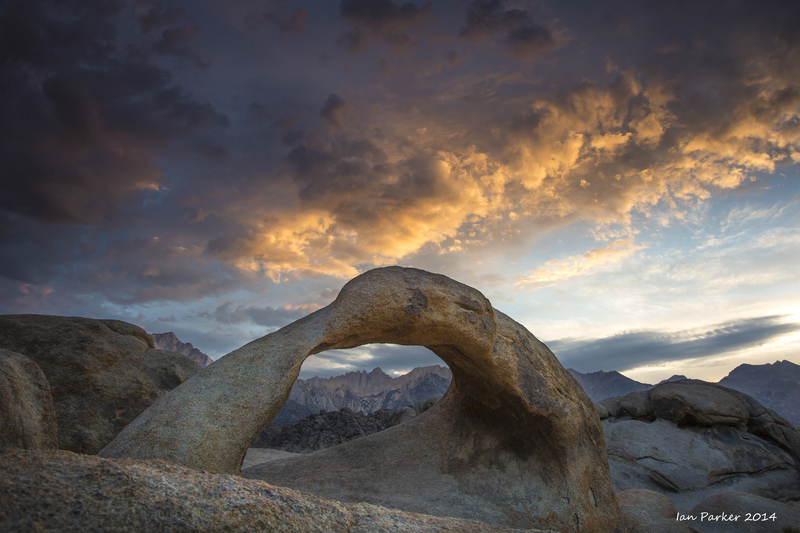 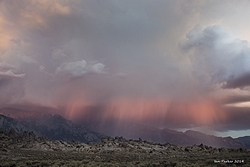 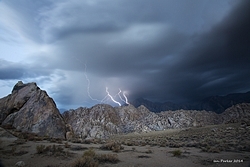 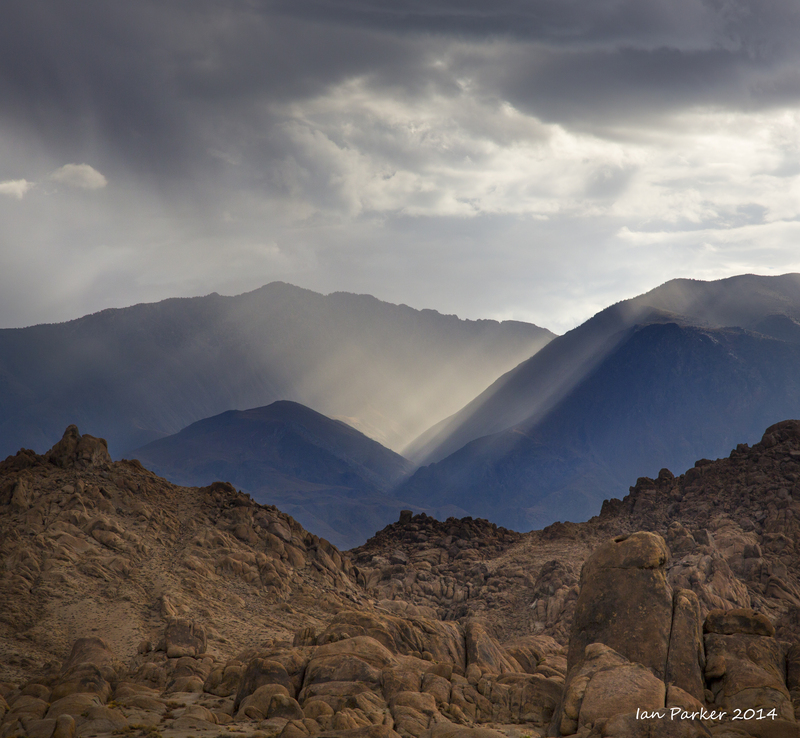 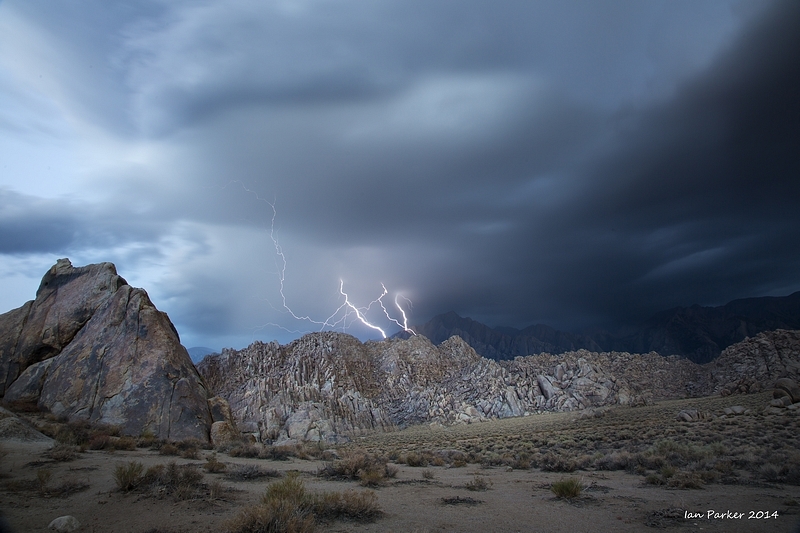 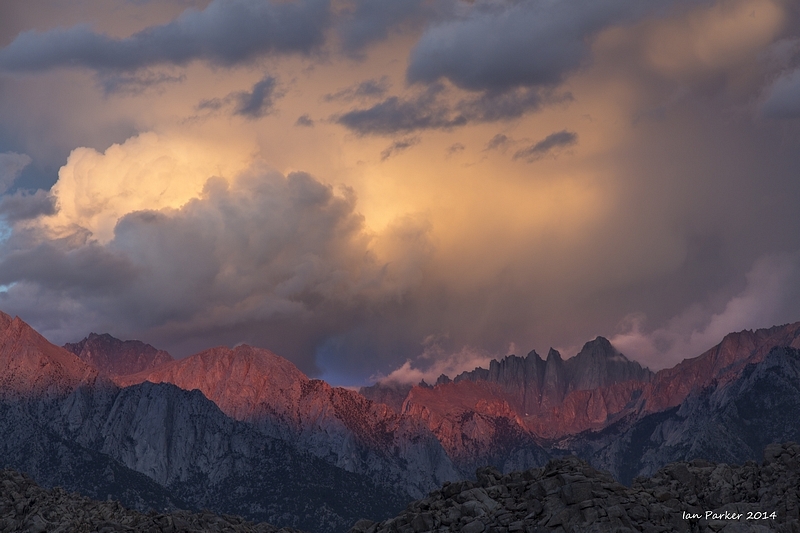 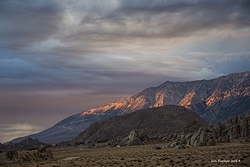 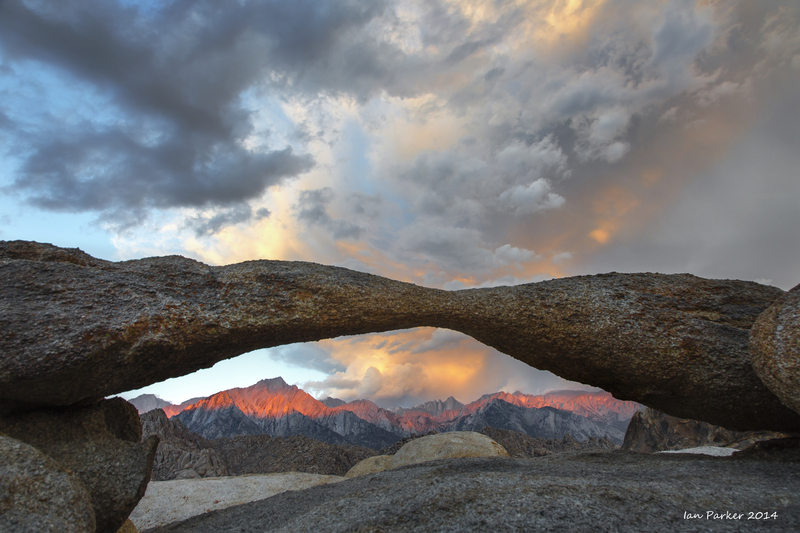 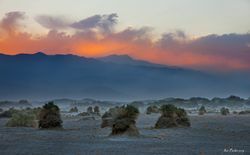 Dawn on the Sunday morning, before the runner check-in, brought thunderstorms over the Sierras and some beautiful light above the Alabama Hills. 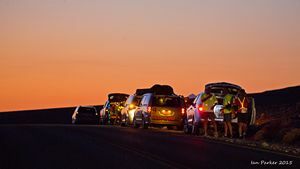 As a photographer I hoped these conditions would continue throughout the race, but likely to the relief of the runners the storm dissipated by mid-morning and the skies remained largely clear for the following days. 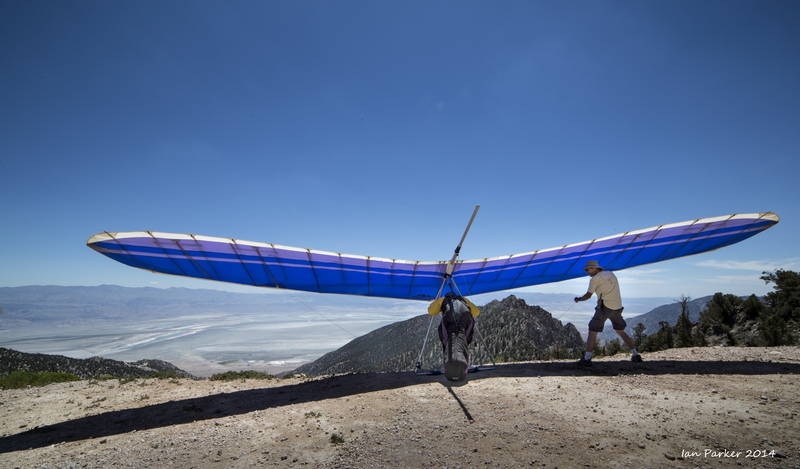 Walt's Point at about 9,000ft elevation up the Horseshoe Meadows road is a 'mega-classic jump off point' for epic cross-country hanglider and para-glider flights. 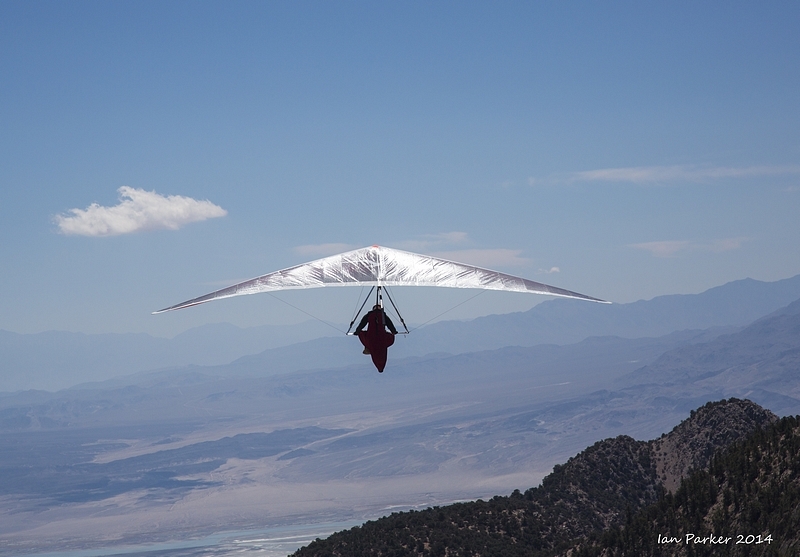 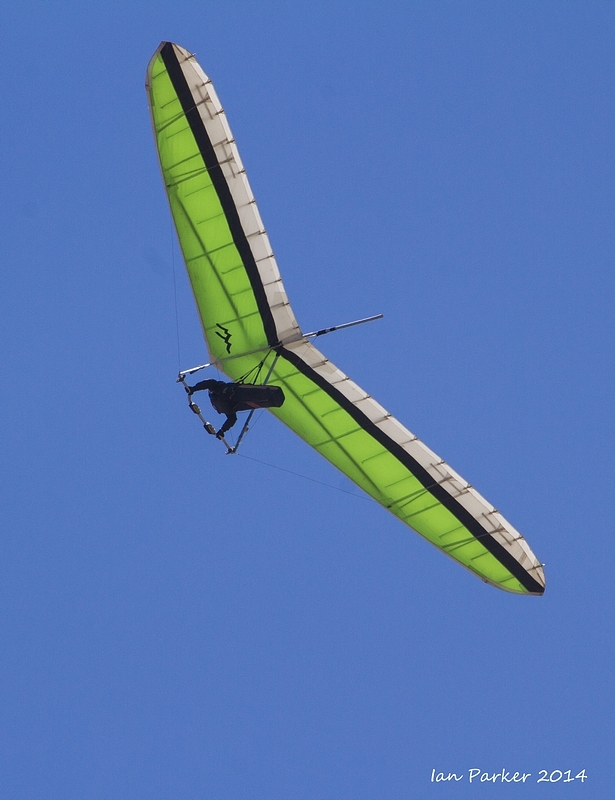 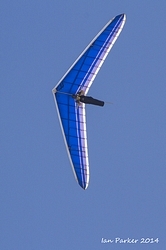 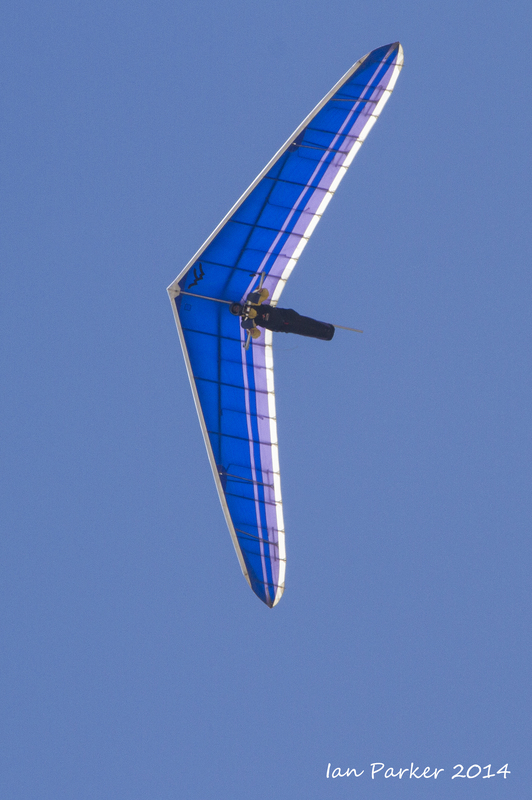 Several hang-gliders were lined up and took off as the runners passed by. 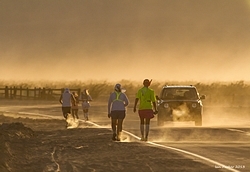 After the 6,000 ft elevation change to Horseshoe Meadows the route alongside Owen's Lake offered level running, but also increased heat and blowing dust. 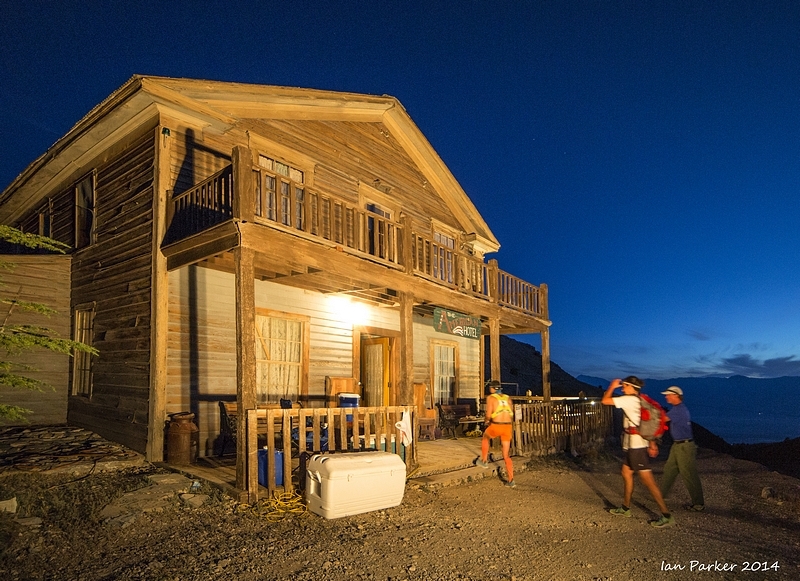 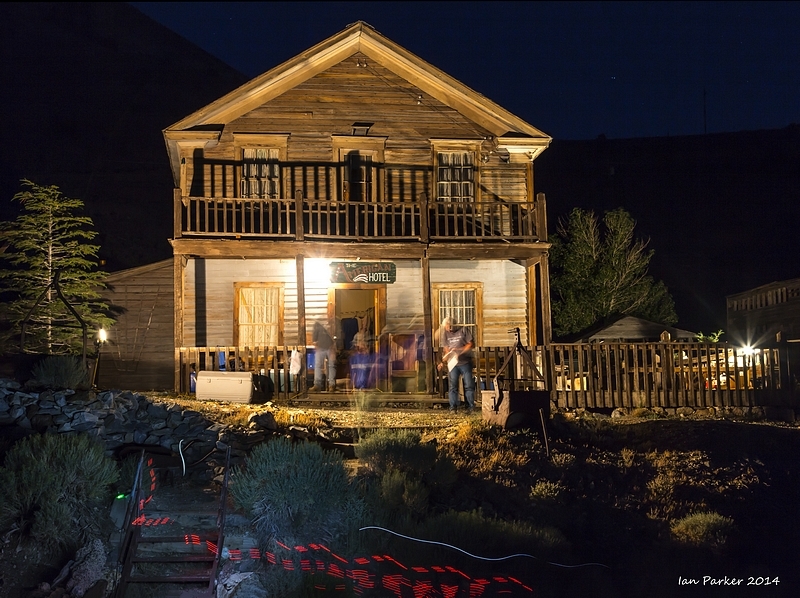 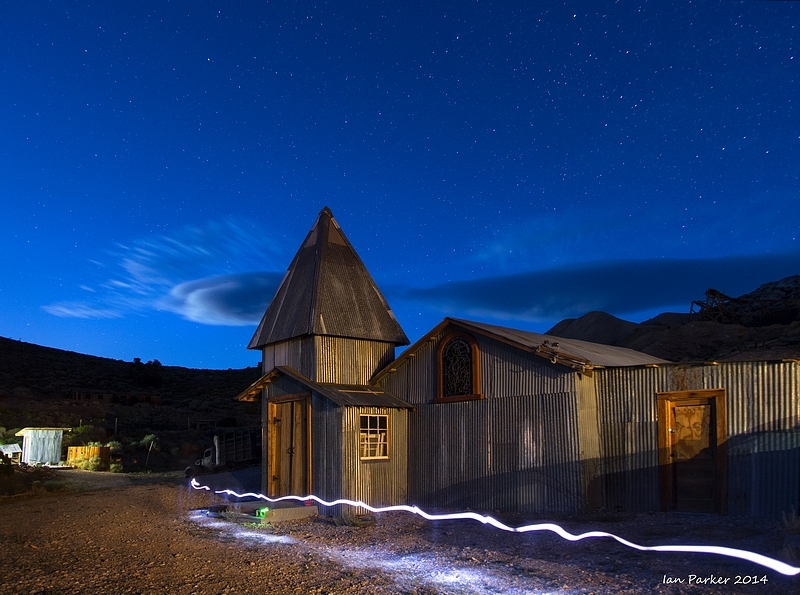 At mile 59 the runners detoured from the highway to ascend the steep and rugged Yellow Grade Road to a turnaround at Cerro Gordo ghost town. 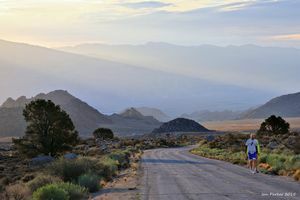 Beyond the water station at mile 67 the road exits the canyon, opening up wide vistas across the valley to the Sierras. 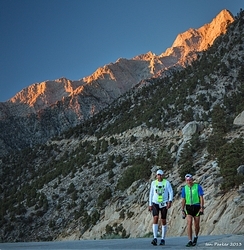 But only the lead runners reached here before sunset. 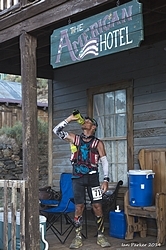 The historic American Hotel in Cerro Gordo served as a time station and turnaround point. 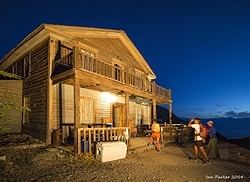 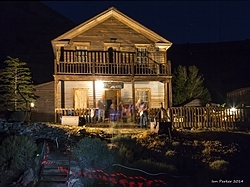 Most runners arrived here during the night and saw little of the ghost town, but the floodlit hotel must have been a welcome sight during the final, steep ascent. 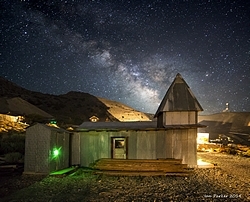 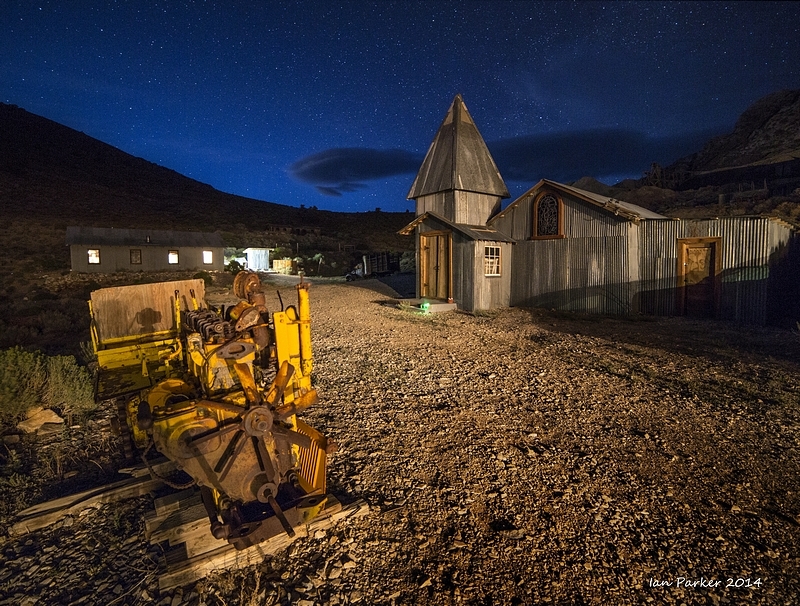 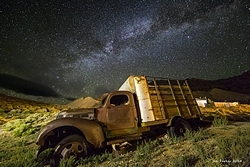 Stray light from the floodlit American Hotel gave an opportunity for long-exposure shots of abandoned buildings and machinery in Cerro Gordo, balancing as the the blue light of twilight faded to allow the Milky Way to shine through. The last runners reached Cerro Gordo at dawn after about 24 hrs of continuous running and walking: only half-way to the finish line yet the lead runner had already finished. 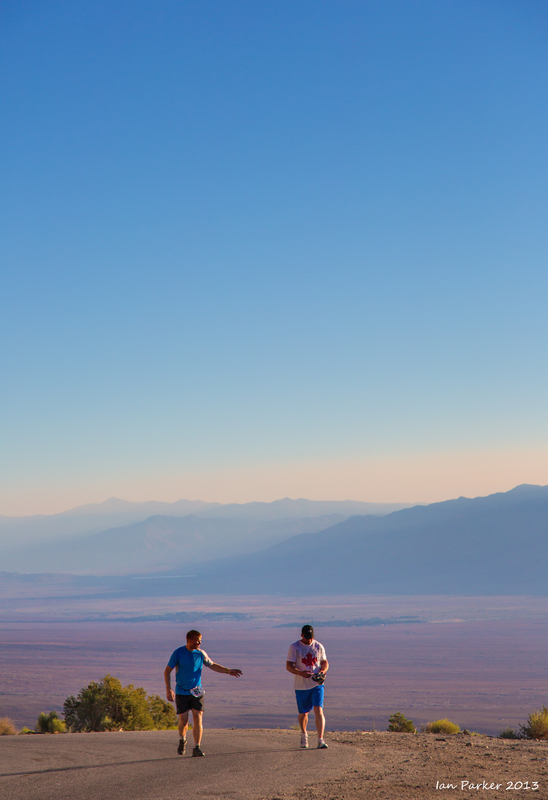 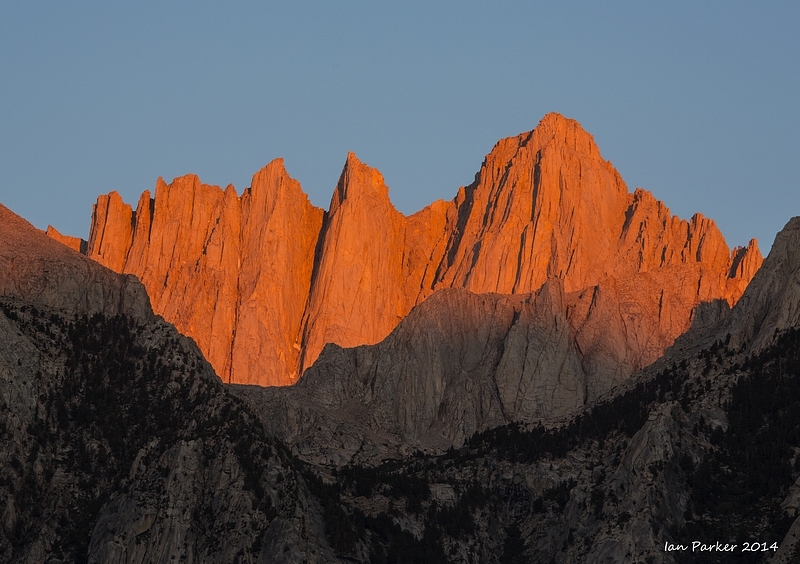 Runners descending from Cerro Gordo as the first sunlight catches the Sierra crest. 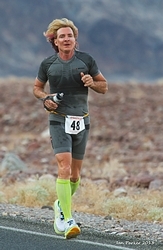 I entered the race over 11 consecutive years, 2002-2012; finishing 9 times under the 60-hour cutoff, including once under the 48 hour time limit to be awarded the coveted Badwater belt buckle. This summer (2013) I returned, to watch and photograph the race from the other side of the road. 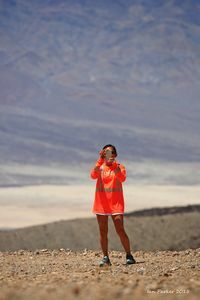 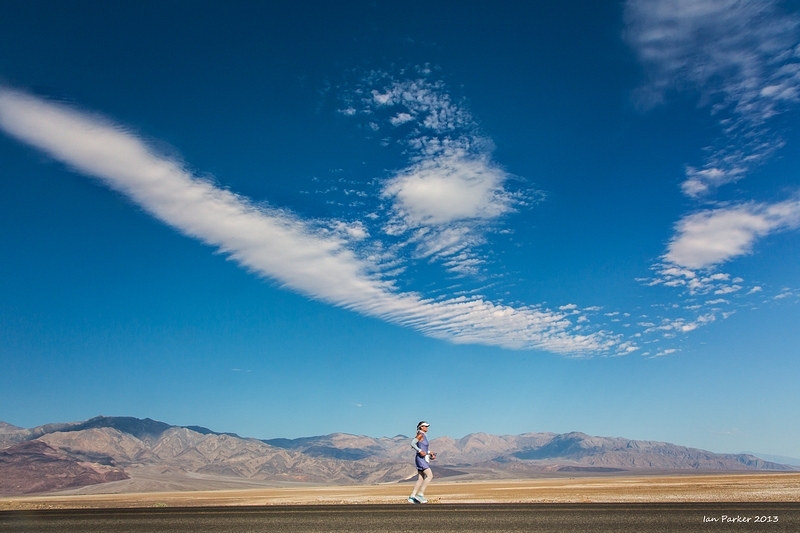 My aim was not simply to capture images of the runners, but to place them within the context of the austerely beautiful environments of the race route through Death, Panamint and Owens valleys and across three mountain ranges.